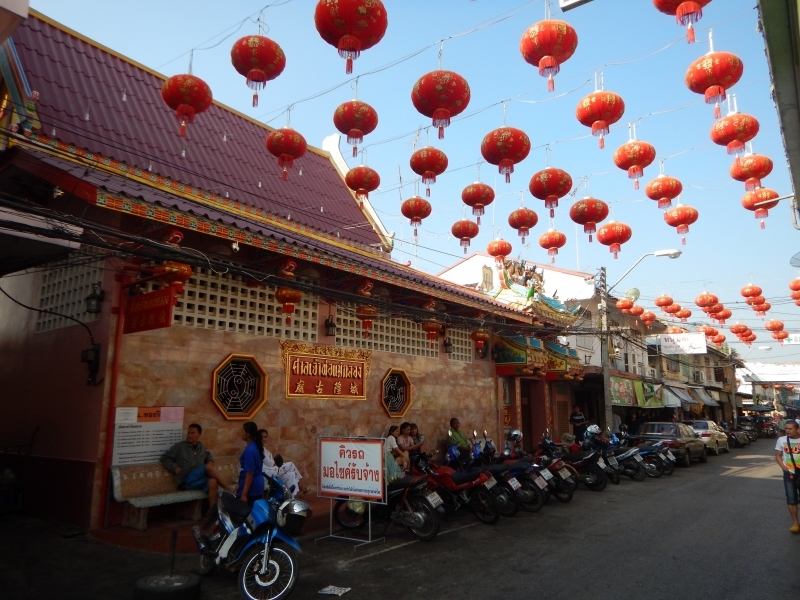 Today we tried to get breakfast at a local cafe which opened at 7.00am….but the owner informed us thats just when staff arrive there is no food until 7.30am…and we were due to be collected by our Tour Guide and Driver from Chang Thai Travel at 7.30am from our hotel….Bugger…..so quick thinking saw us round the corner for McDonalds! 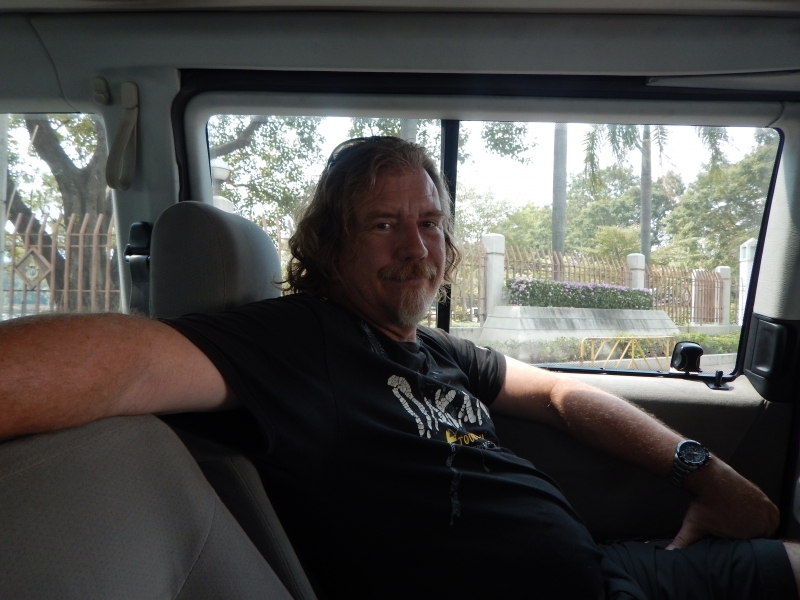 Back at the hotel our Driver, Mr Ken, was already waiting for us and we were on our way….collecting our Guide, Miss Katie on the road. 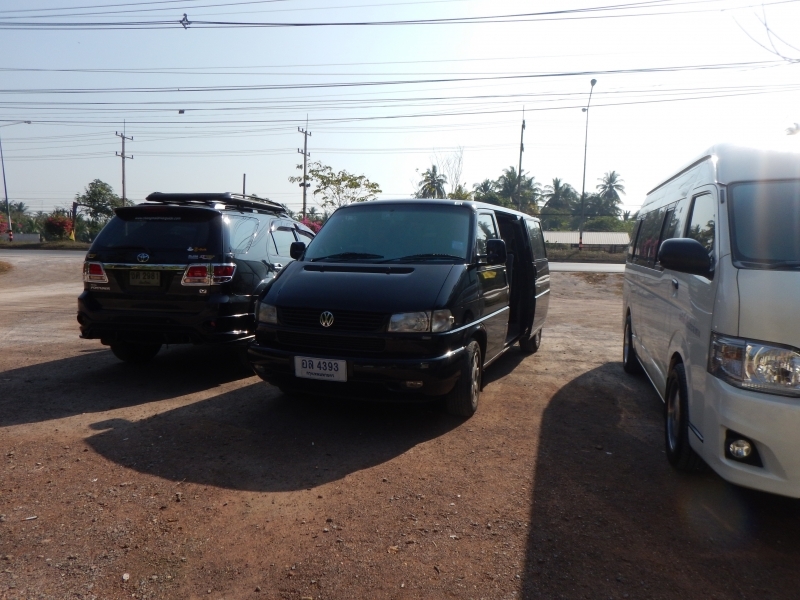 Our half day tour included air-conditioned private vehicle transport for the duration as well as pick up and drop off at our hotel. 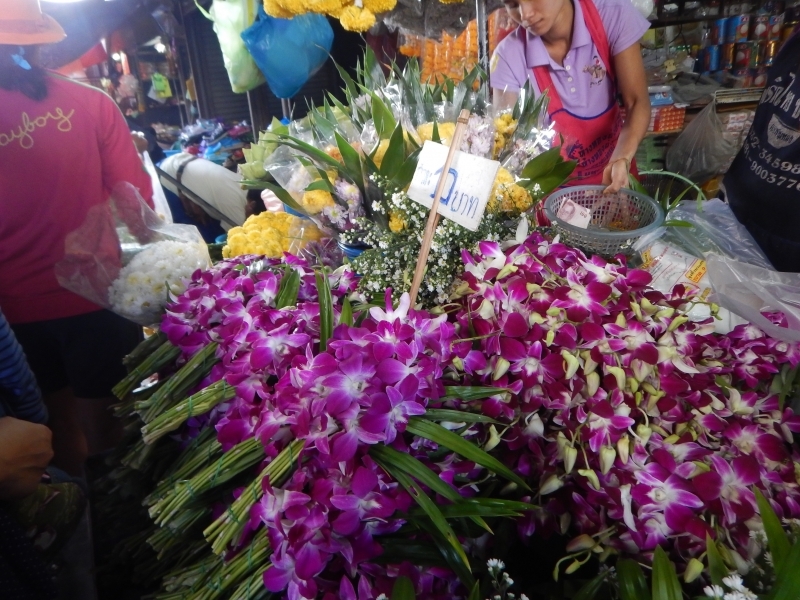 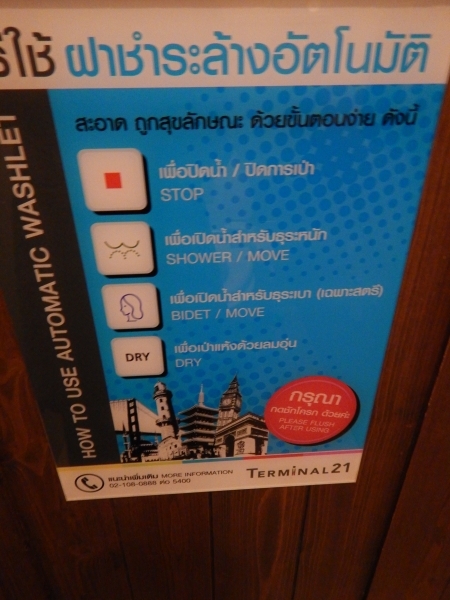 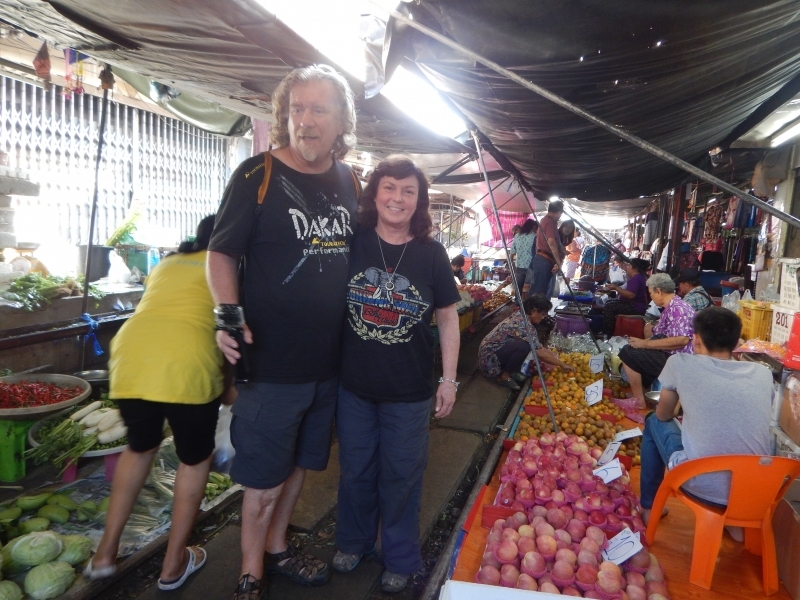 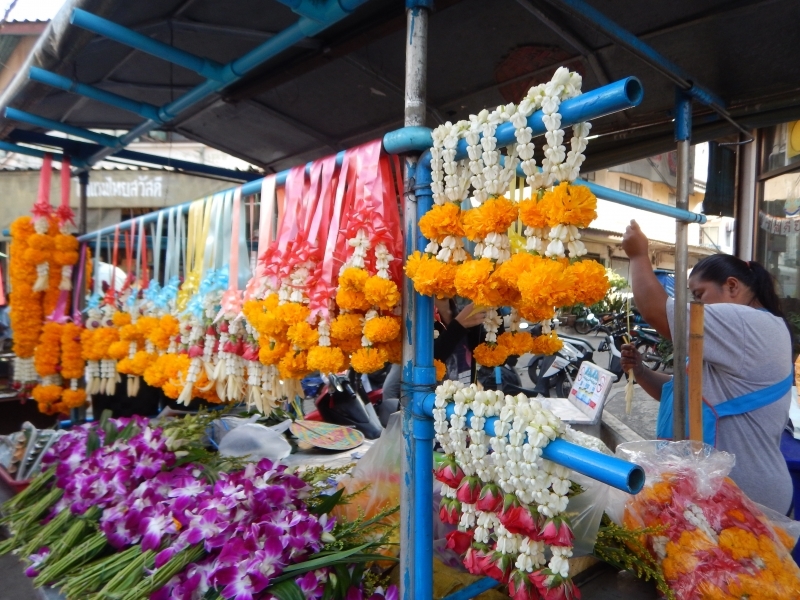 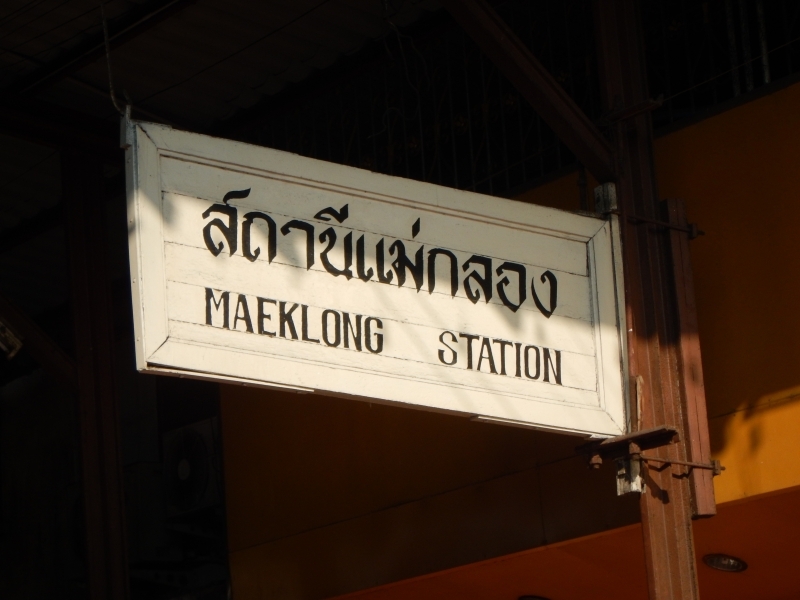 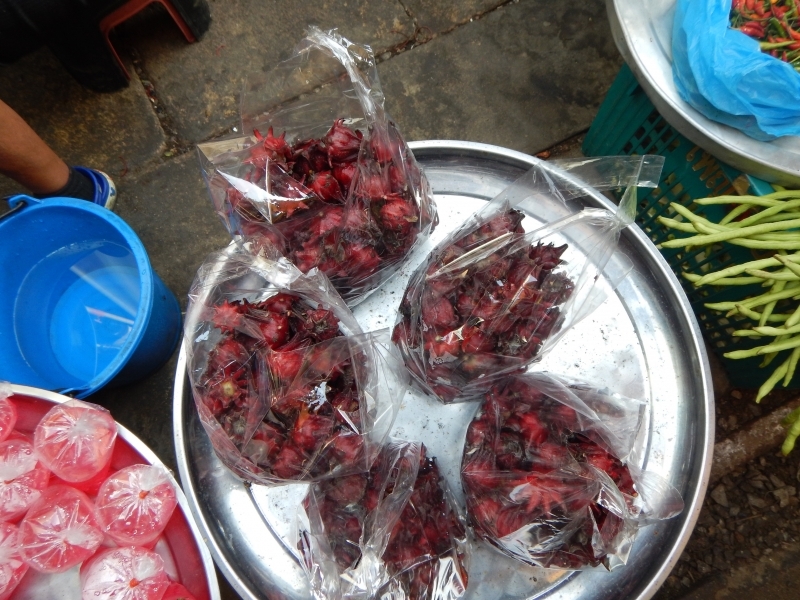 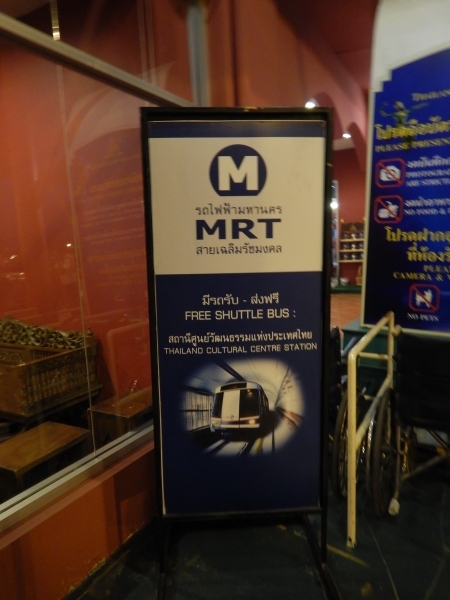 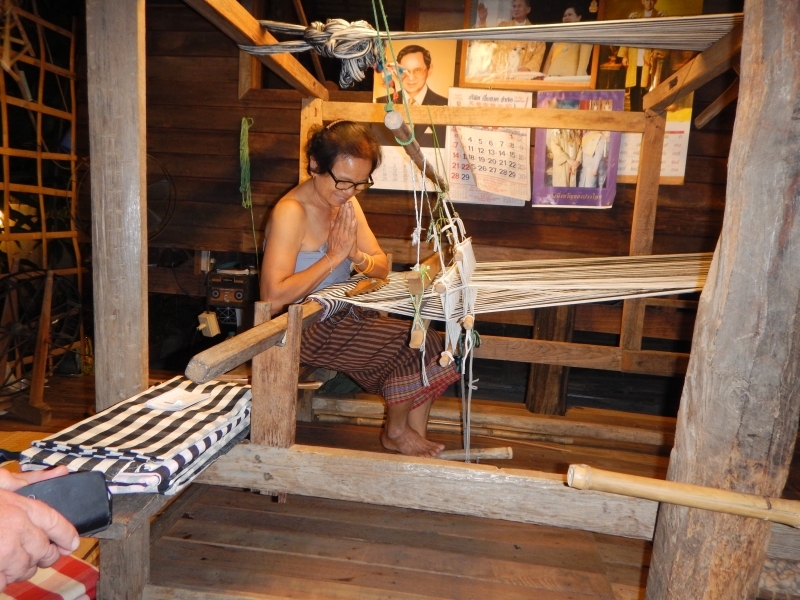 We drove past rice paddies and salt fields along they way and we stopped off at the Maeklong Station Train Markets (Nicknamed: Talad Rom Hub which means the “umbrella pulldown market”). 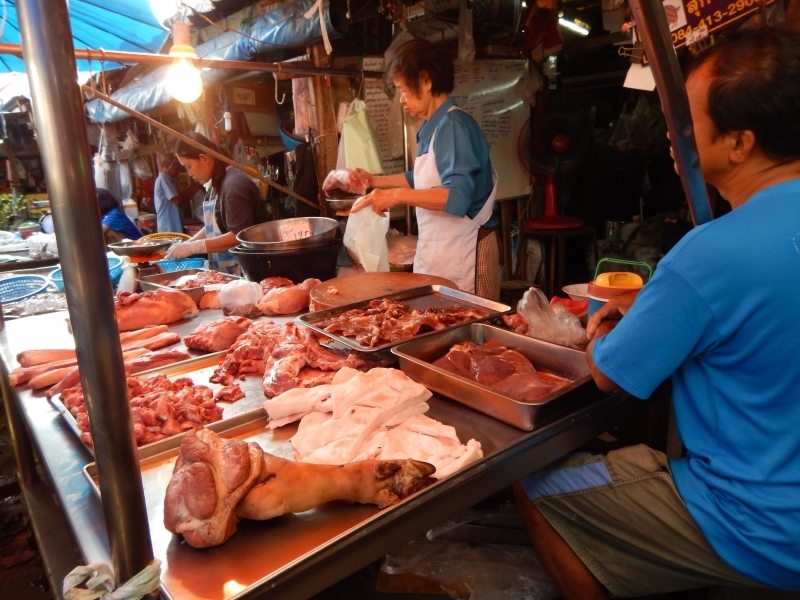 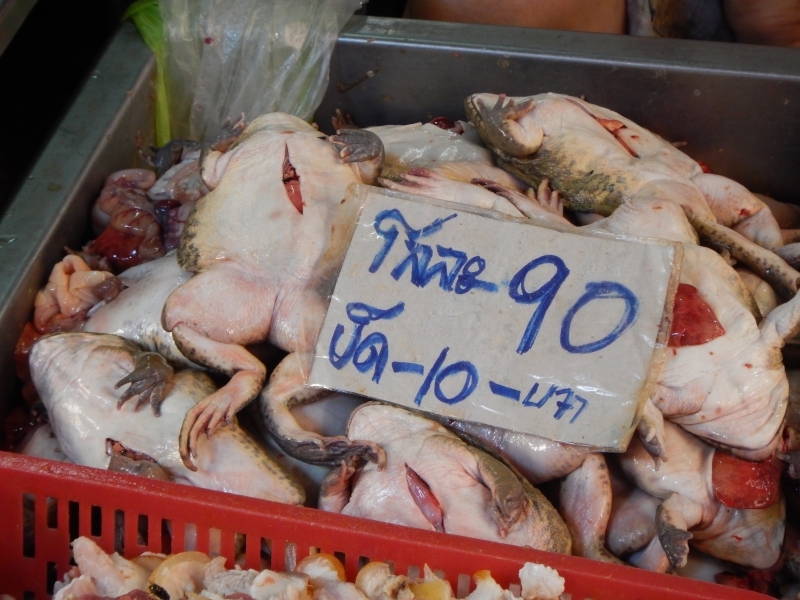 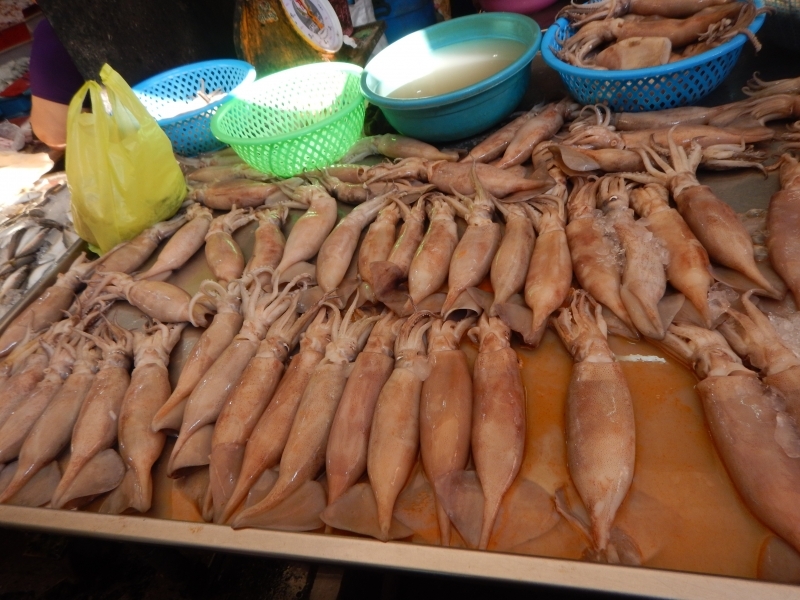 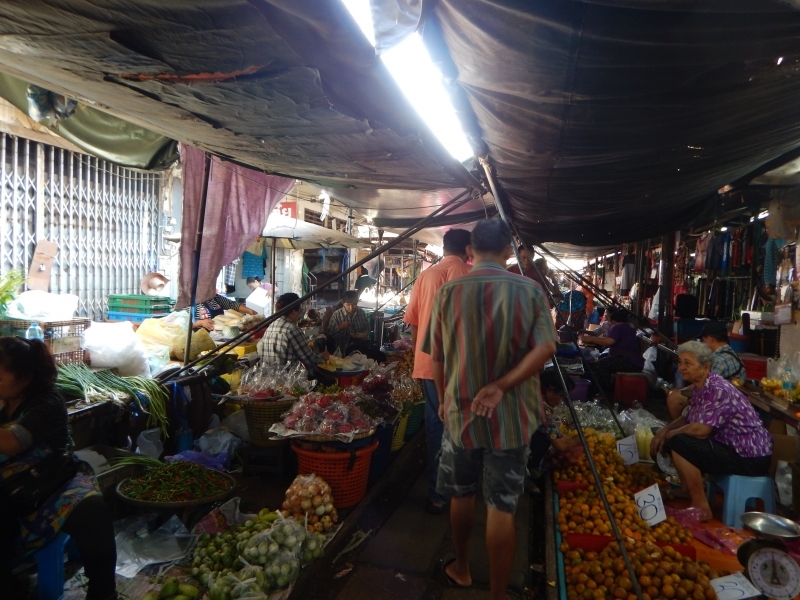 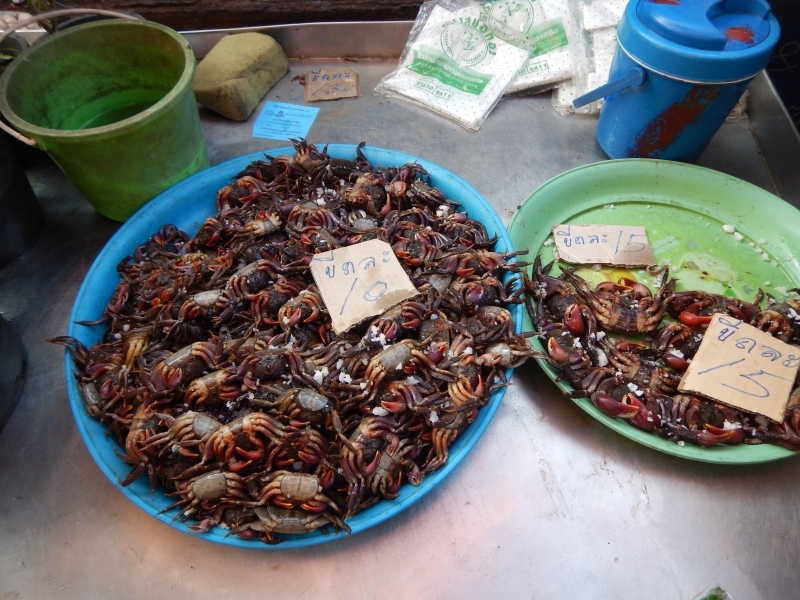 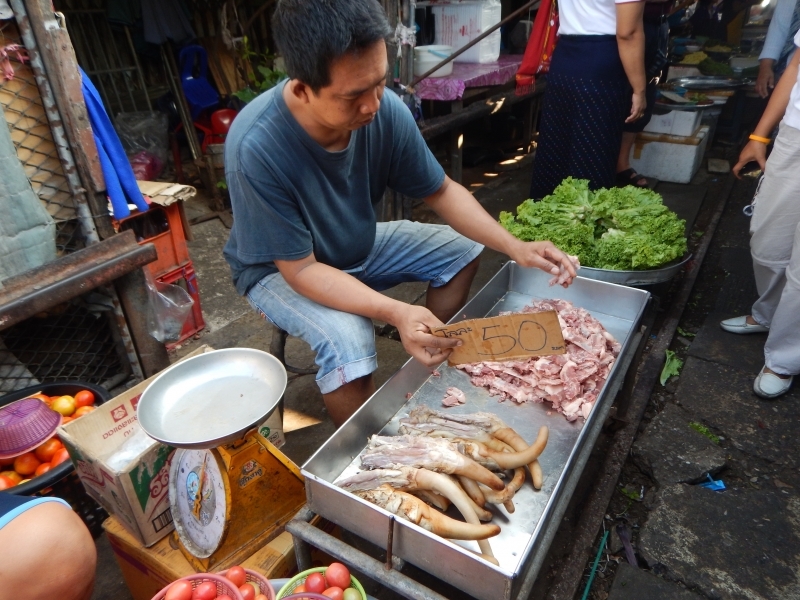 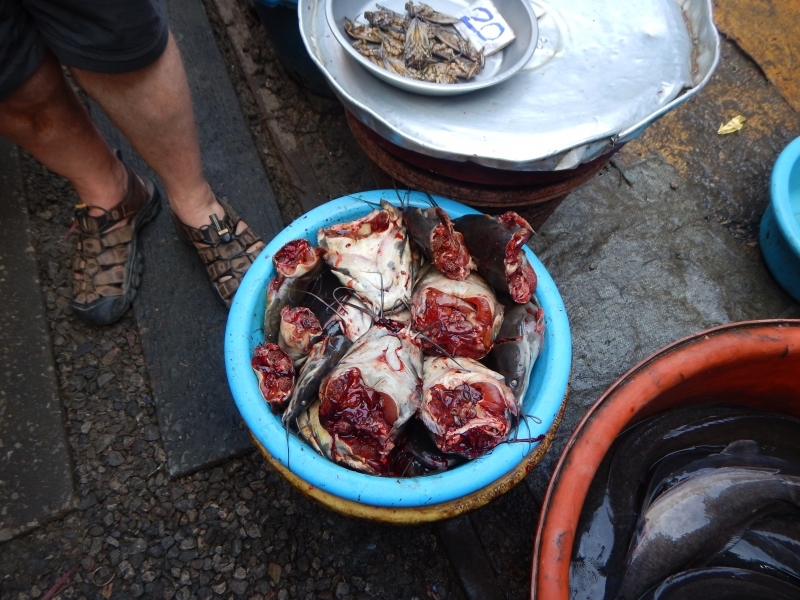 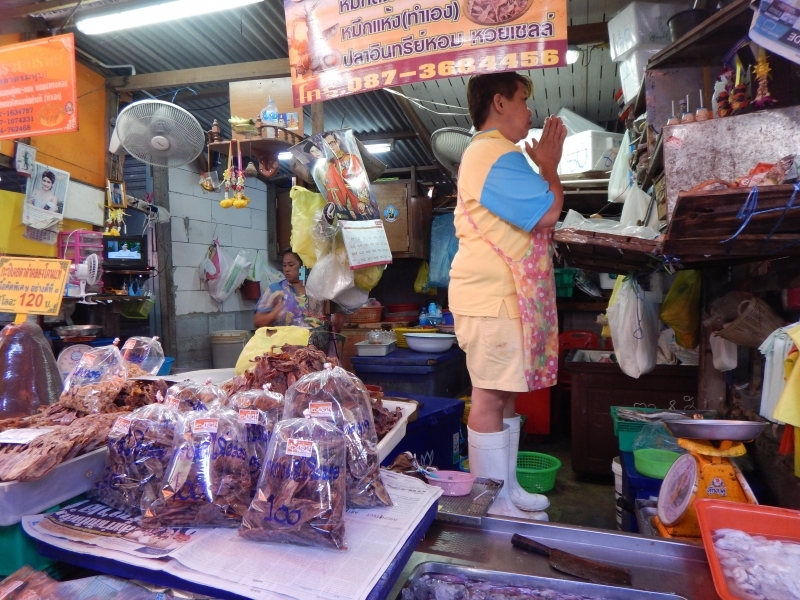 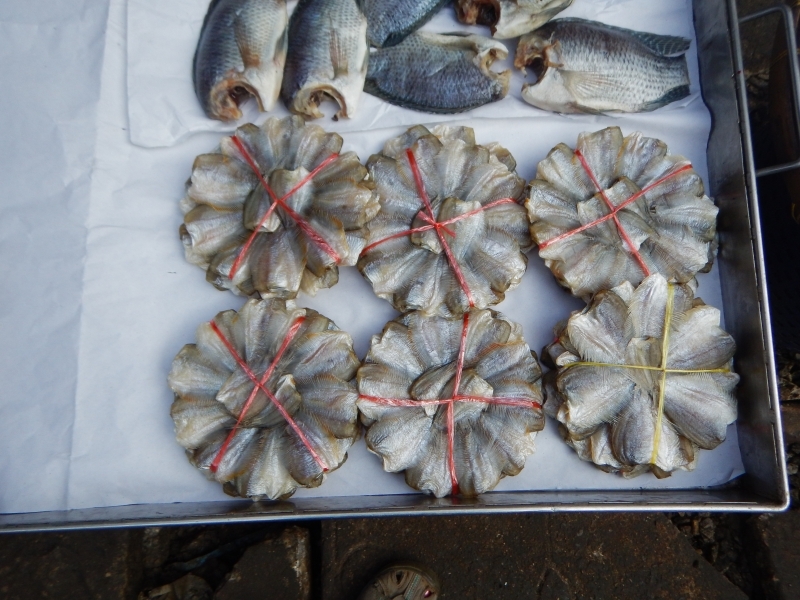 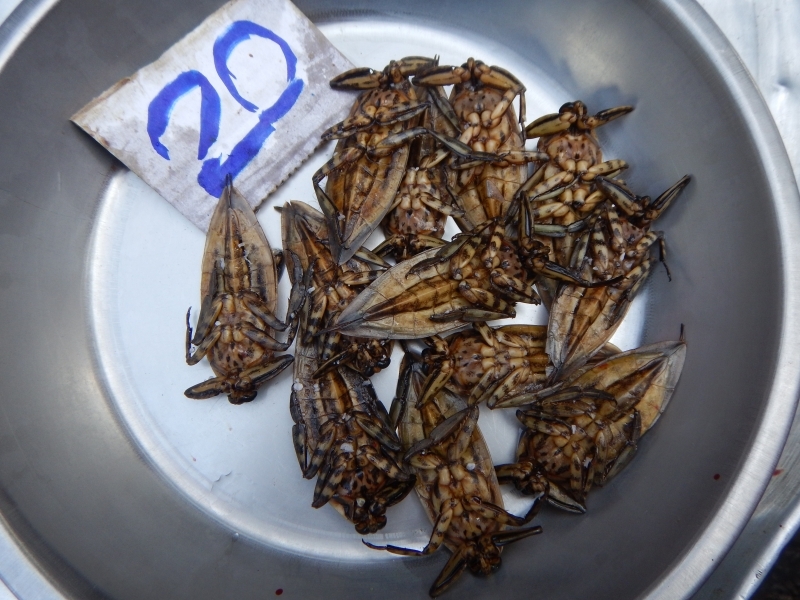 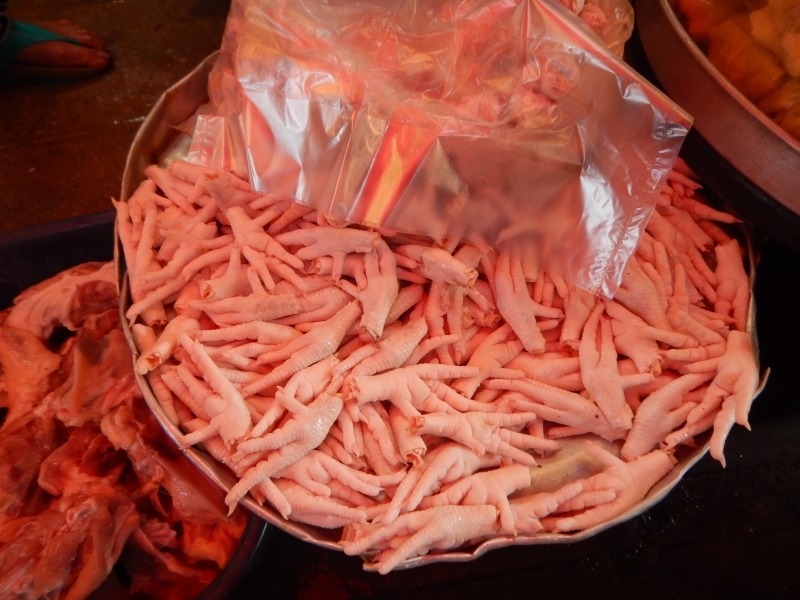 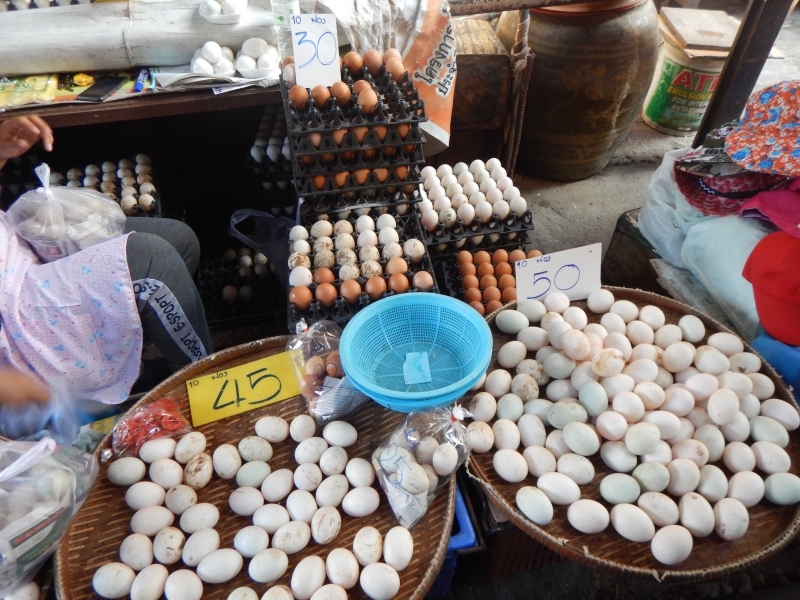 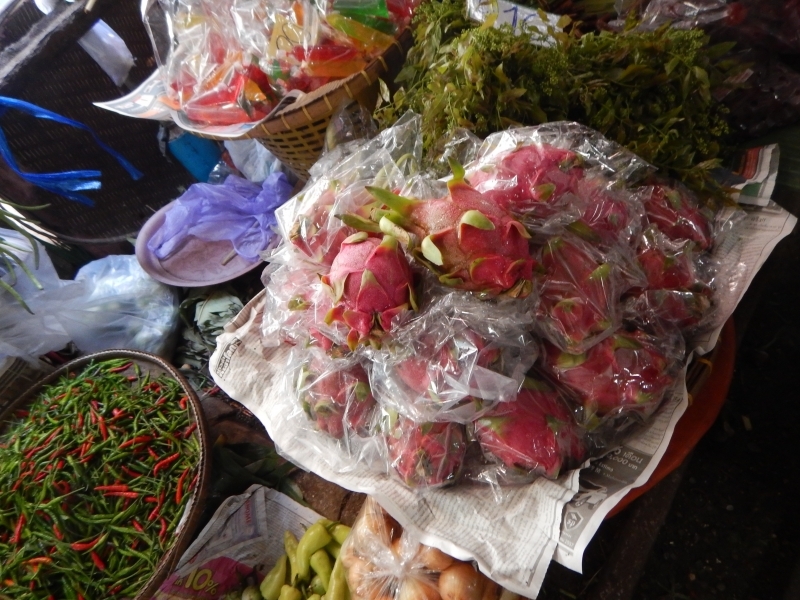 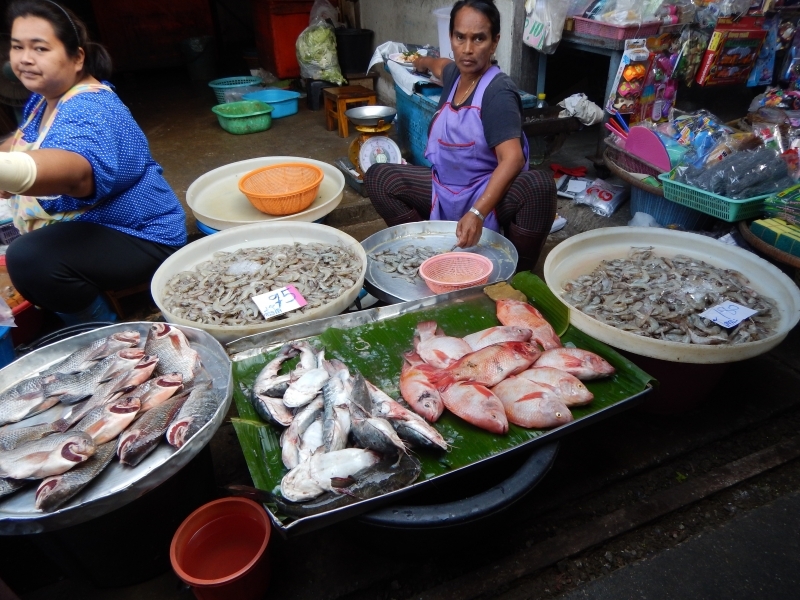 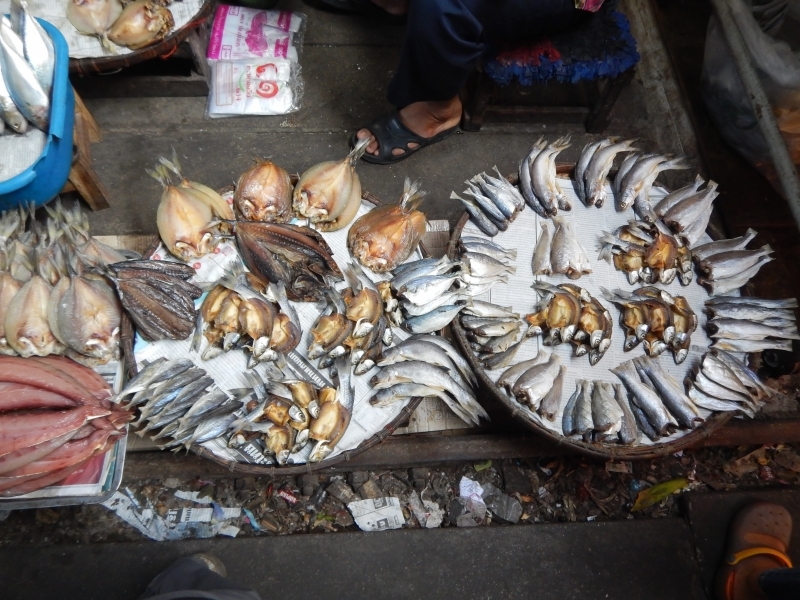 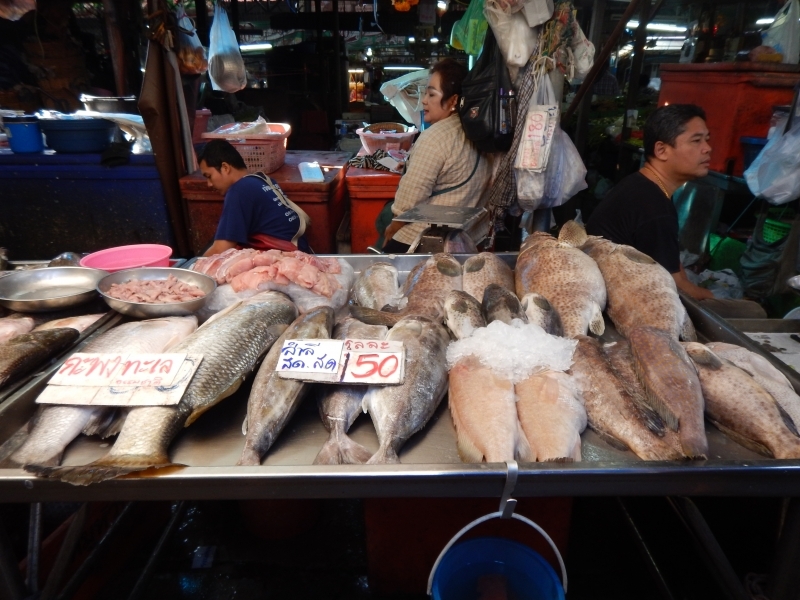 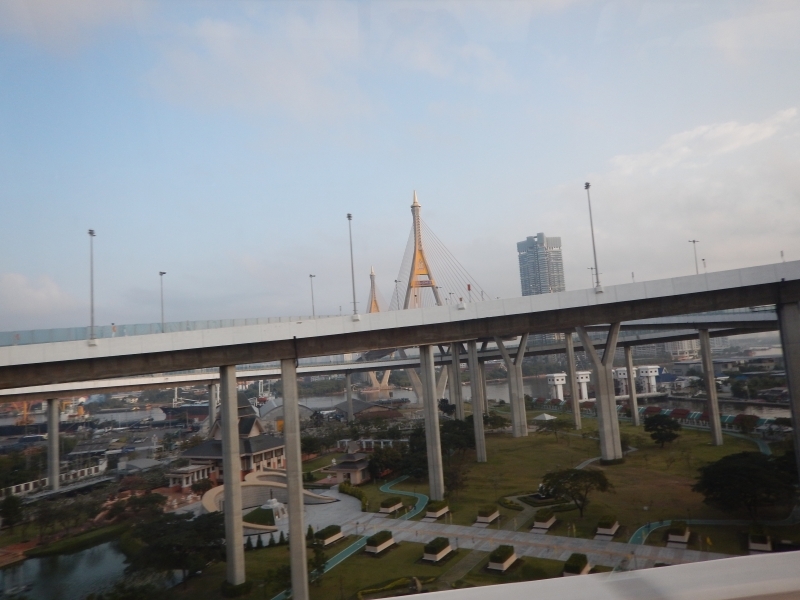 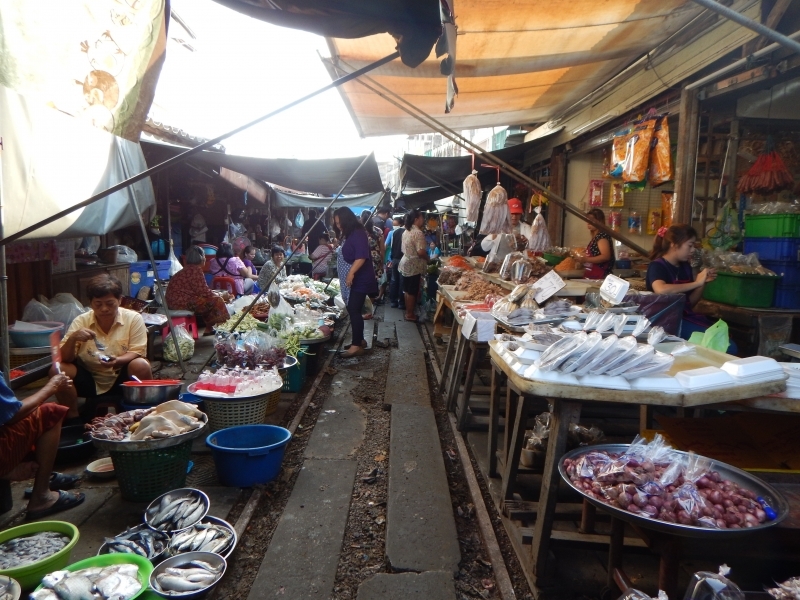 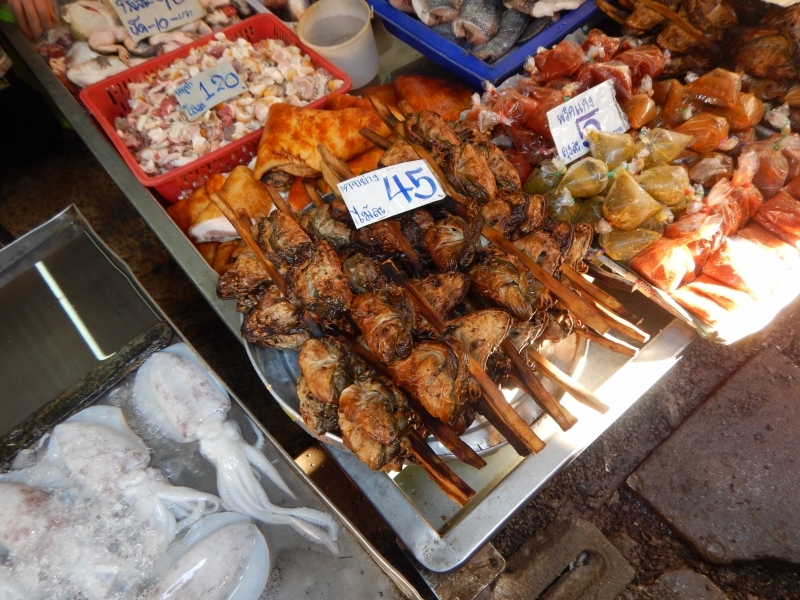 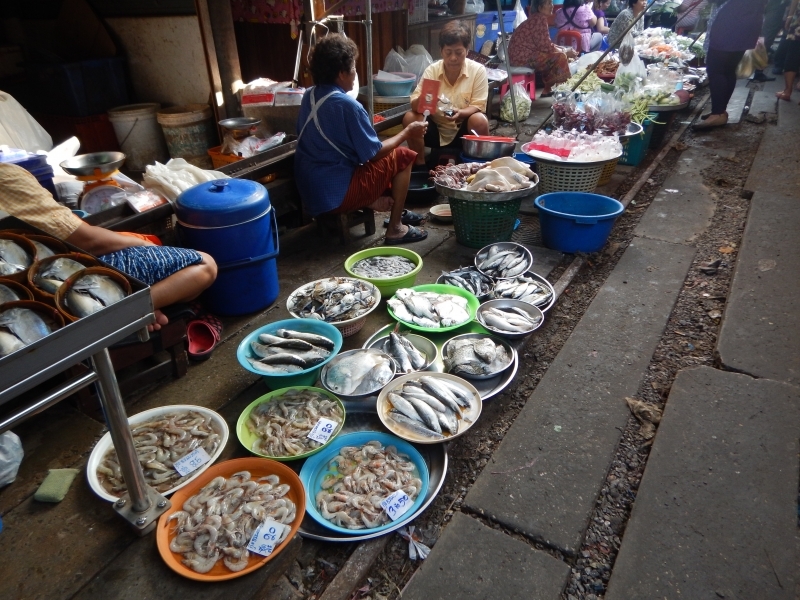 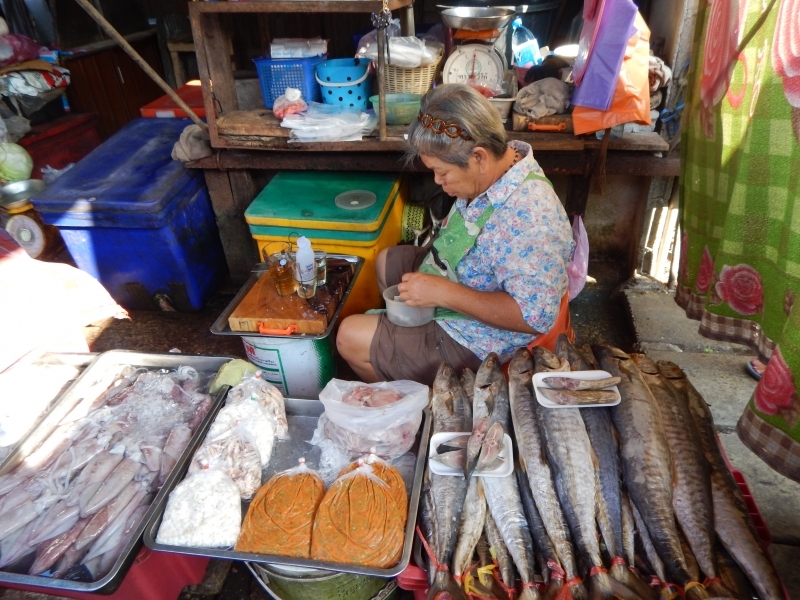 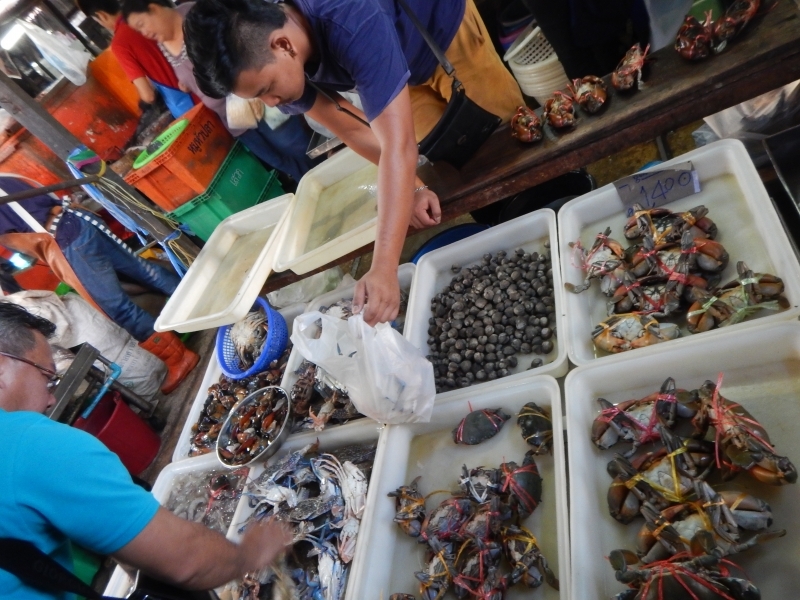 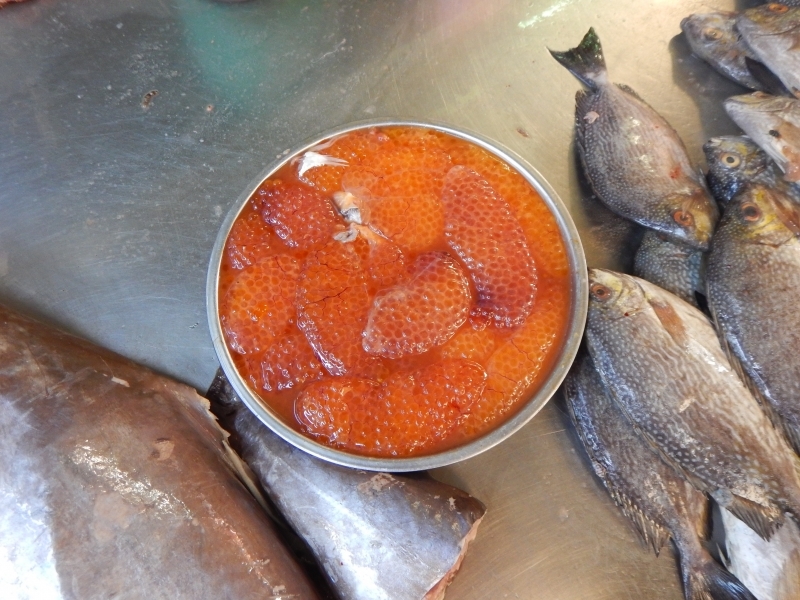 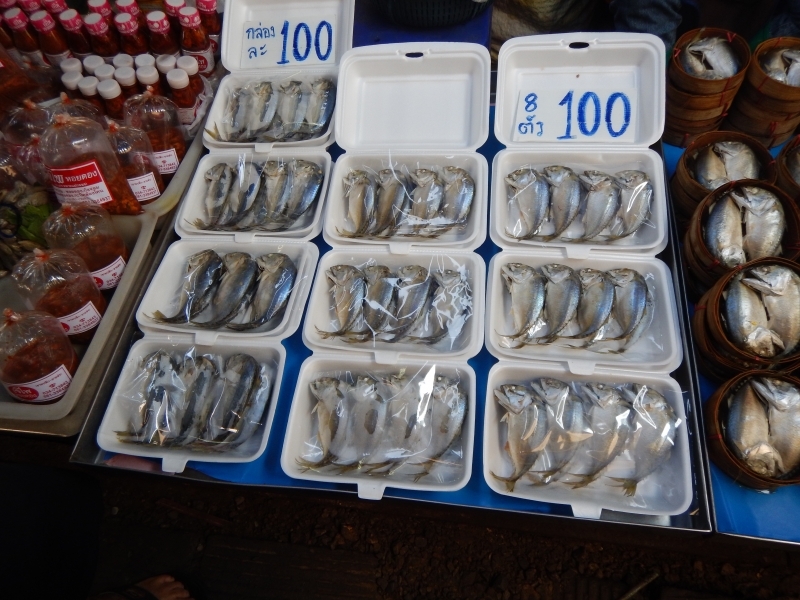 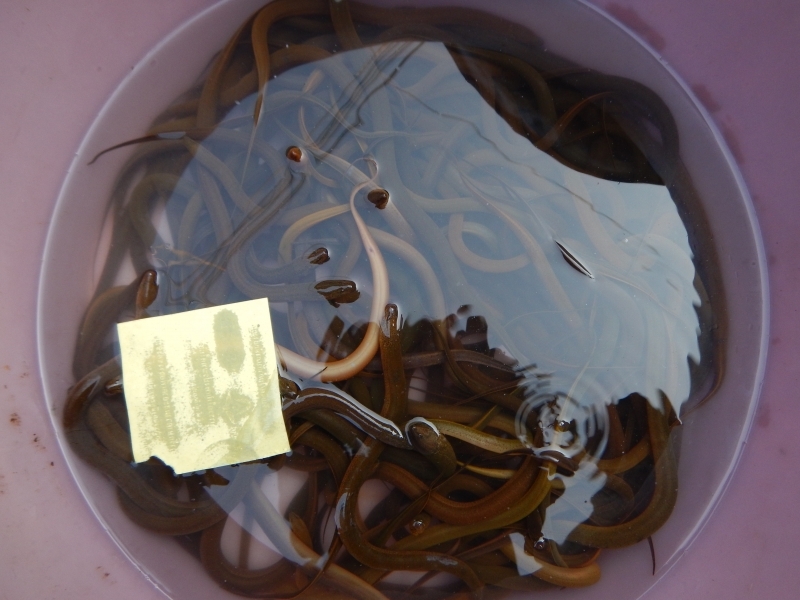 It is one of the largest fresh seafood markets in Thailand, and is centred on the Maeklong Railway’s track. 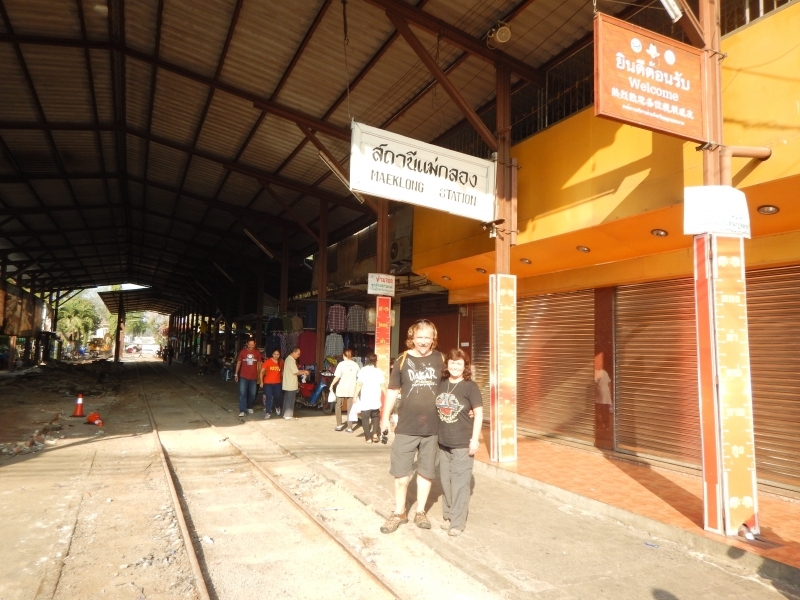 Whenever a train approaches, the awnings and shop fronts are moved back from the rails, to be replaced once the train has passed, this happens around 6 times each day. 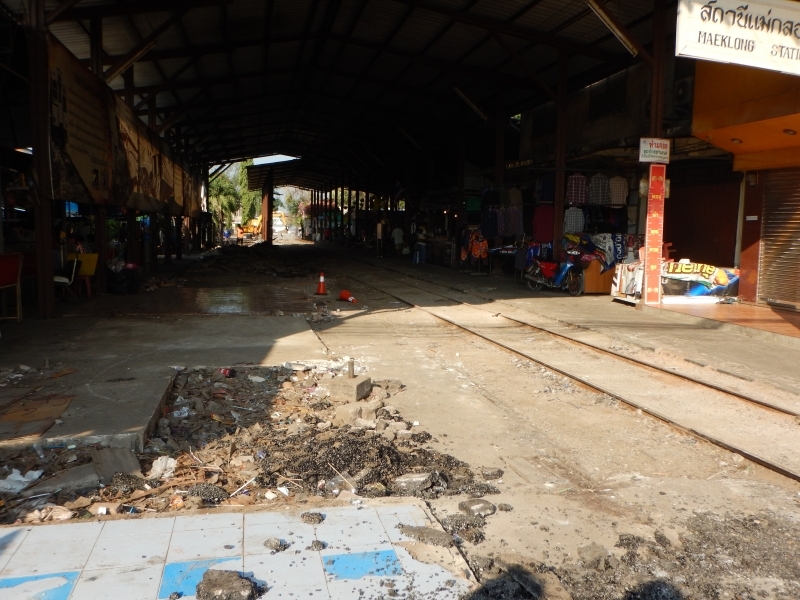 However, since May 2015 the station is closed for track renovations….they were due to be completed in Dec 2015 but are running behind schedule! 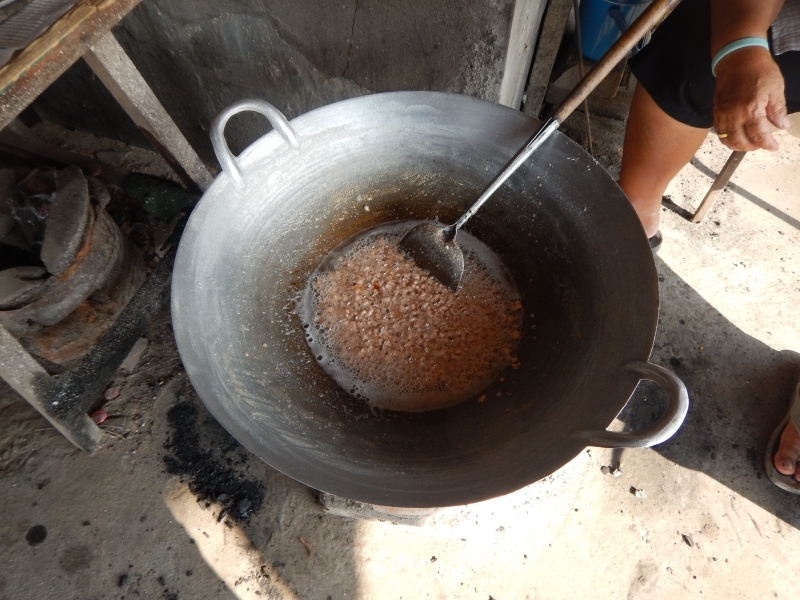 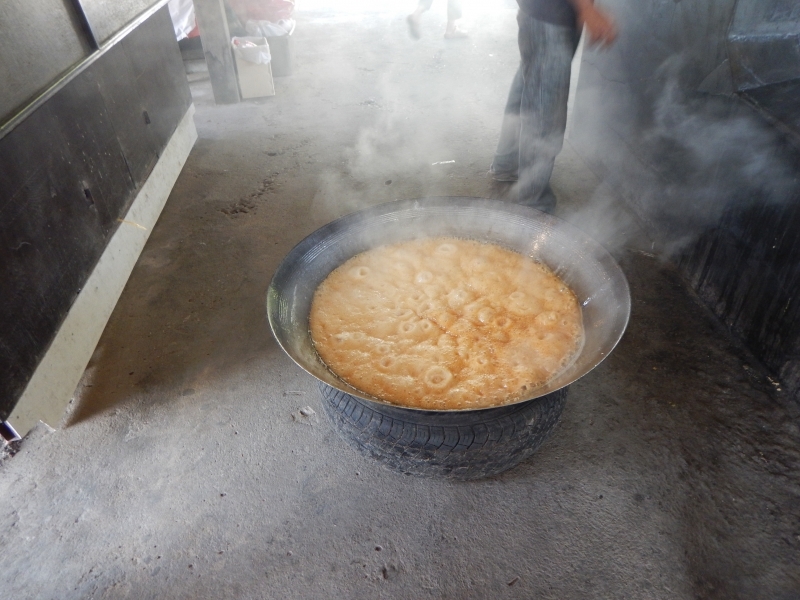 Next we stopped off at a “farmhouse” (quite touristy) where we saw how they make coconut brown sugar and coconut oil….quite and amazing process….the milk and oil come from inside the coconut whilst the sugar comes from the syrup that is made from the Coconut Flower before it fruits. 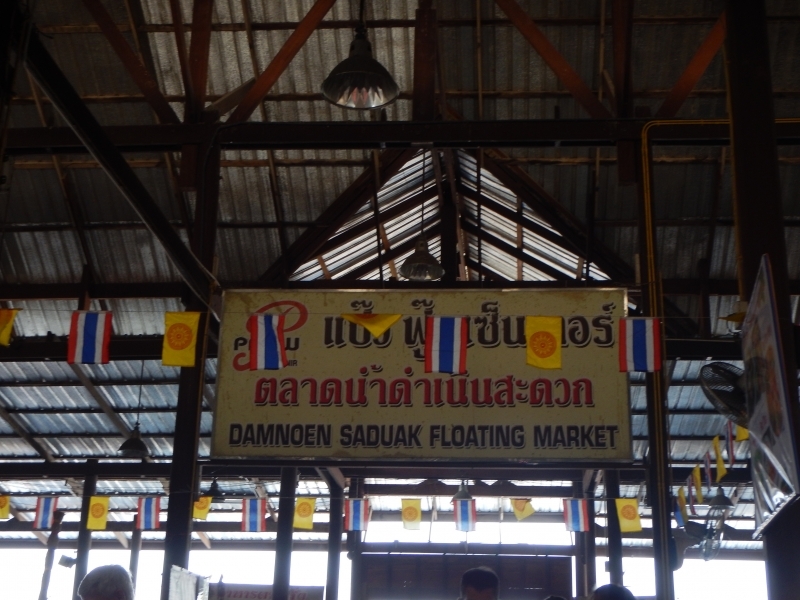 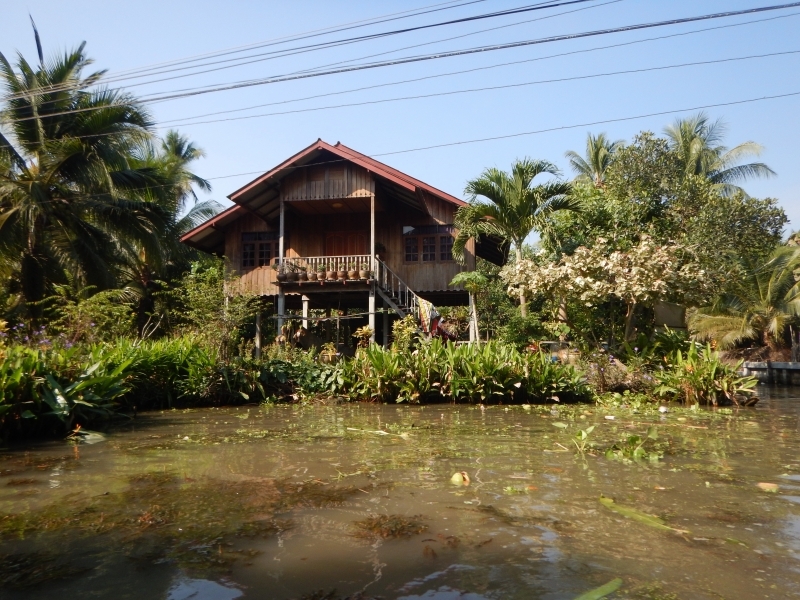 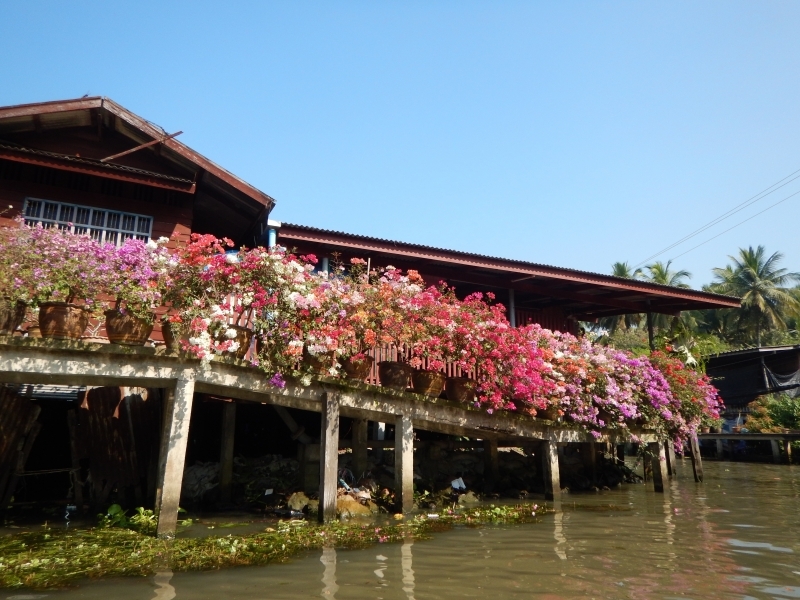 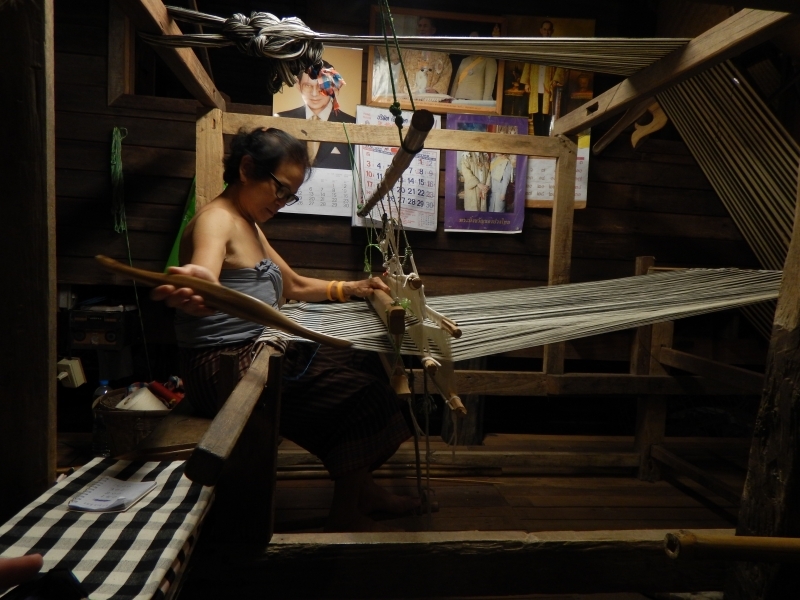 For a mere 3600THB in total, our trip took us to the 150 year old traditional, Damnoen Saduak Floating Market at klong Damnern Saduak in Ratchaburi province, about two hour drive from Bangkok. 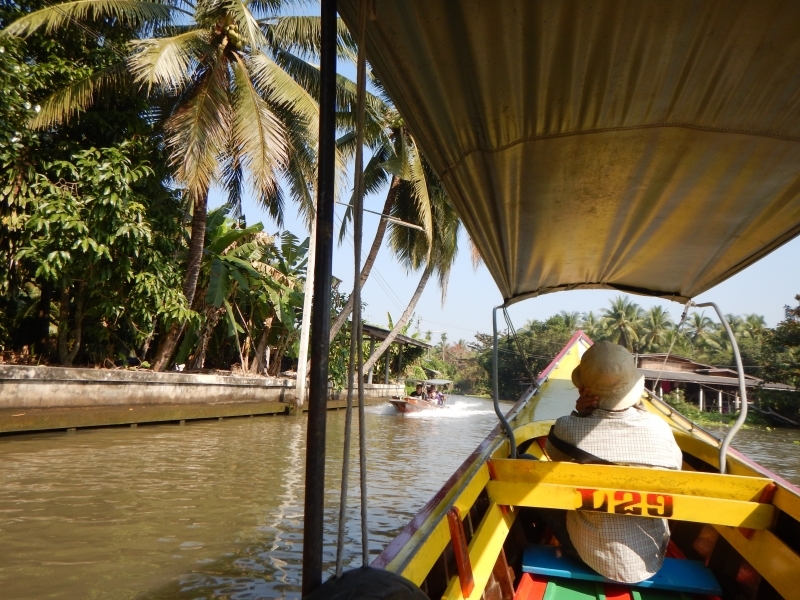 We had an exhilarating 30min ride in a narrow long-tailed speed boat through the marshes and stilt houses of the village where the locals still live (love our Ondansetron so we don’t get motion sickness!). 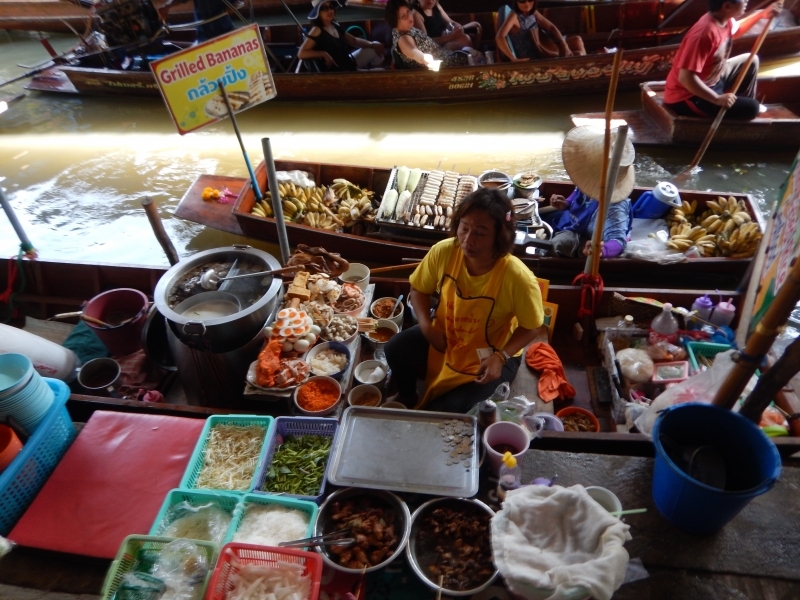 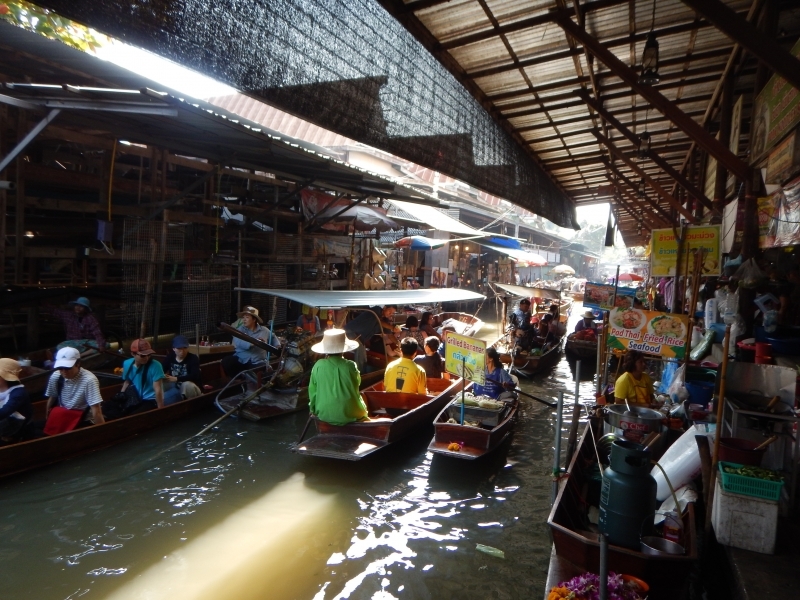 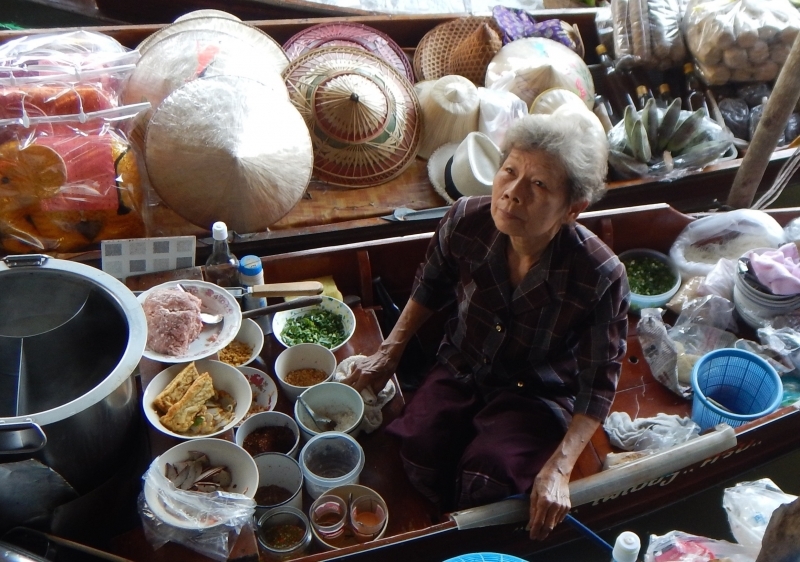 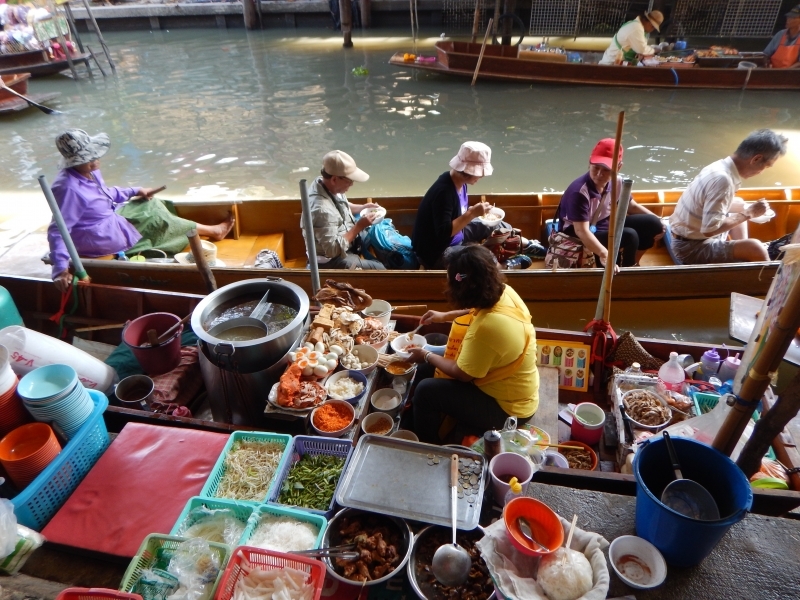 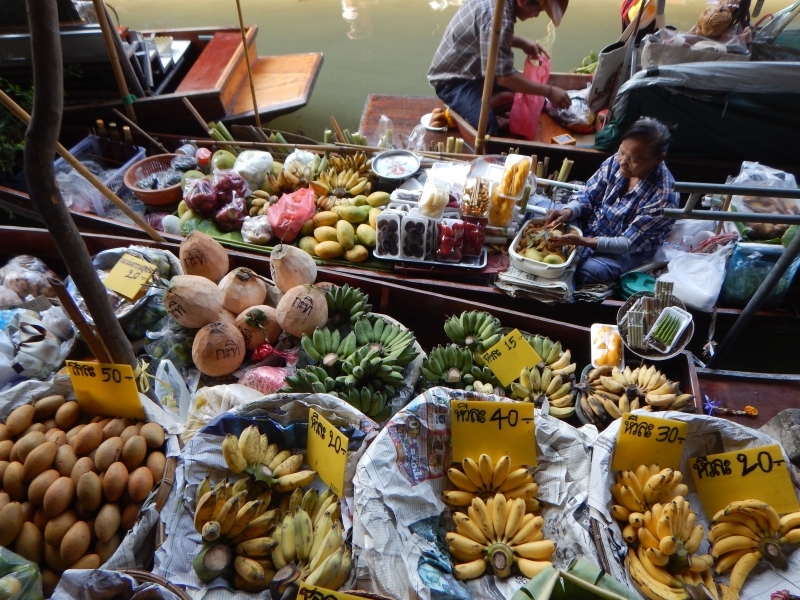 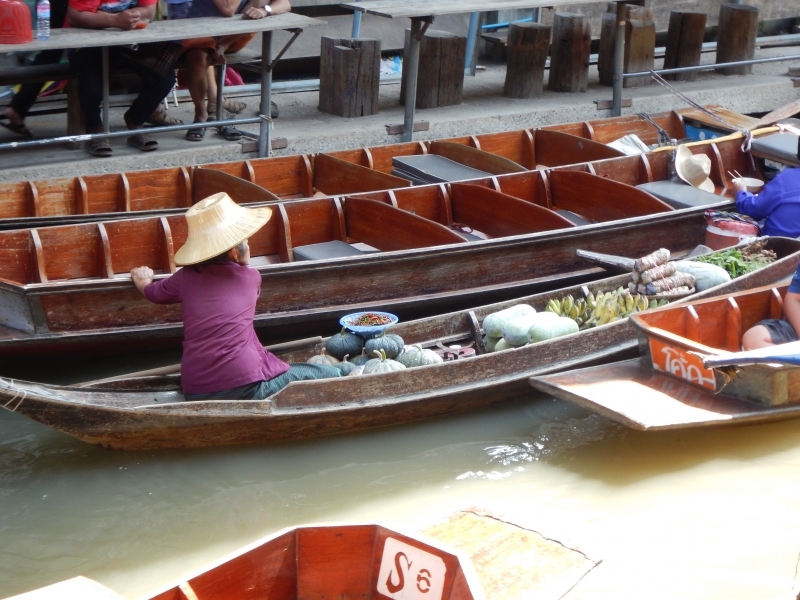 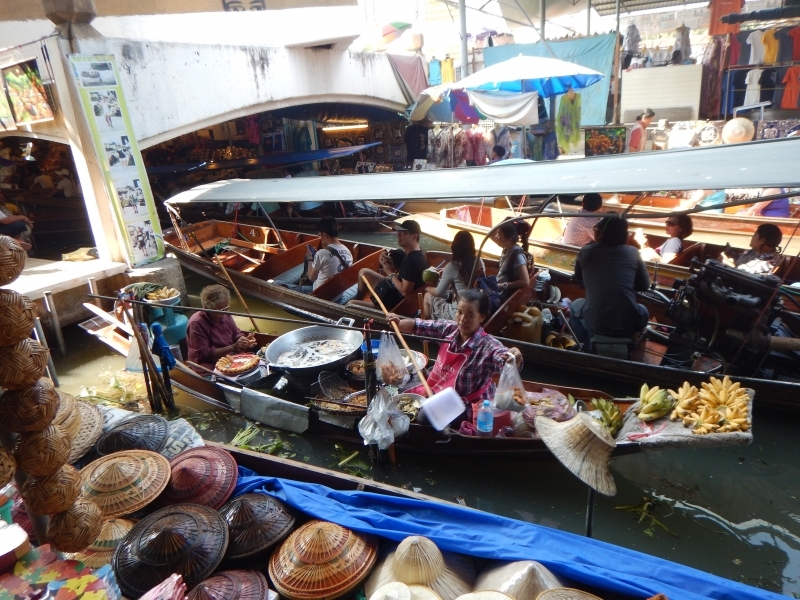 At this unique market we saw Thai style canoes laden with colourful, succulent fruits, vegetables, sweets and meats and we watched as the occupants gently ply their way through the canals. 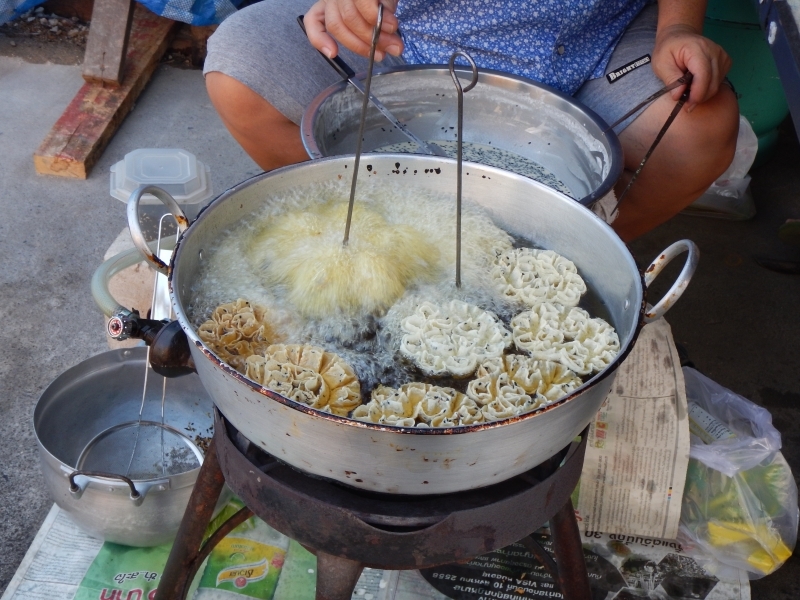 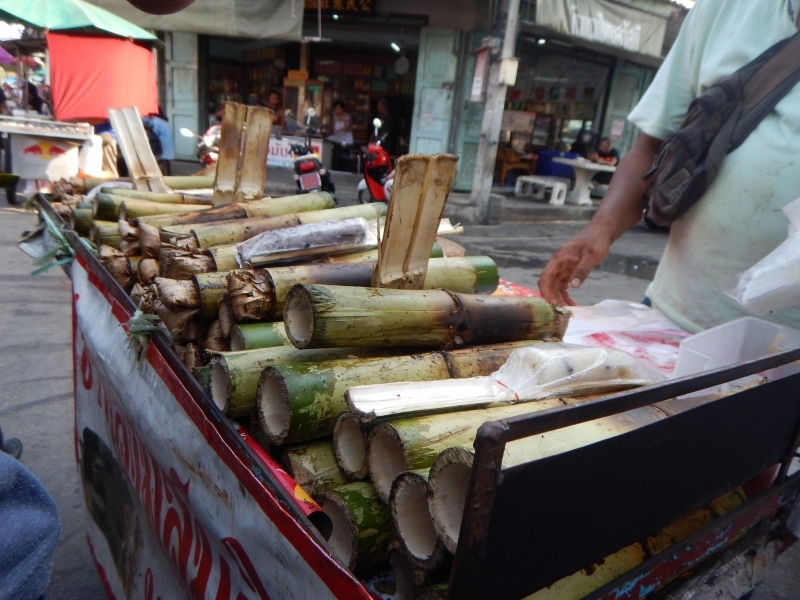 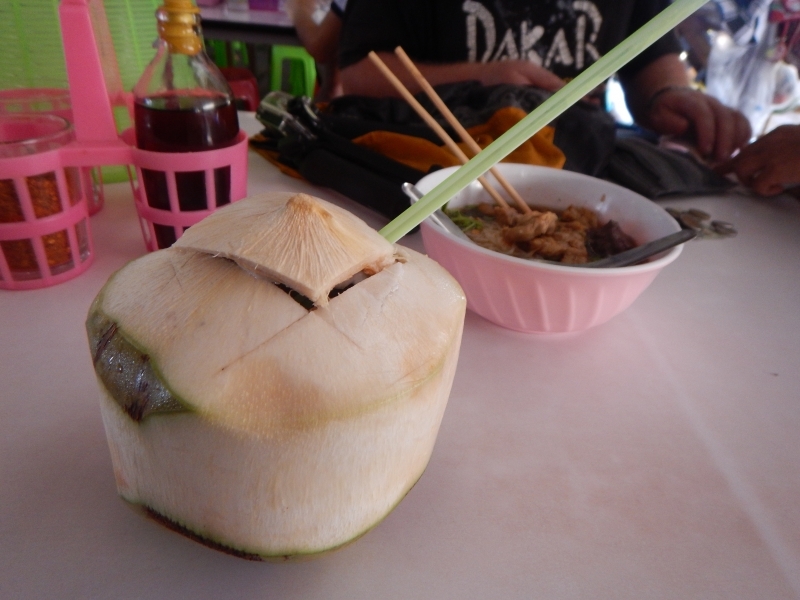 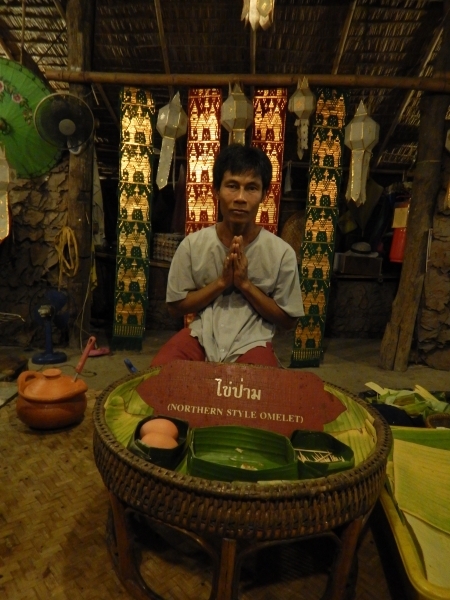 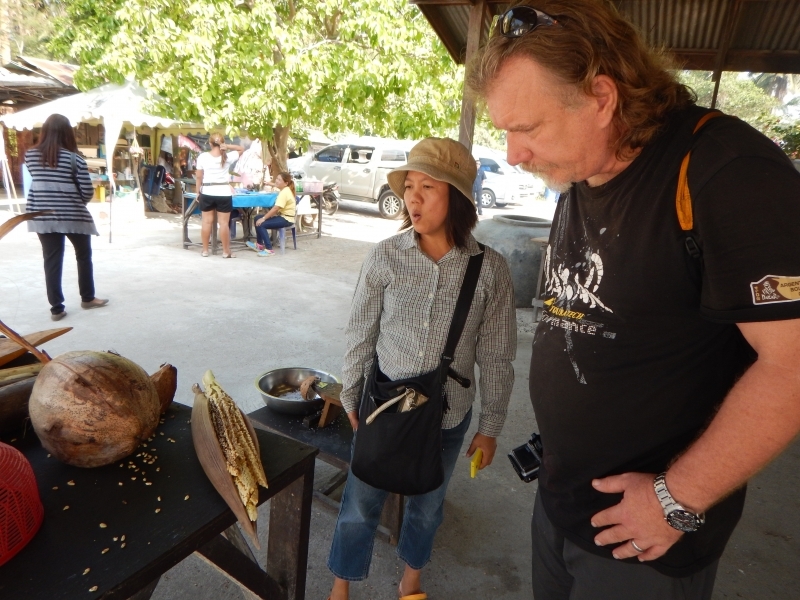 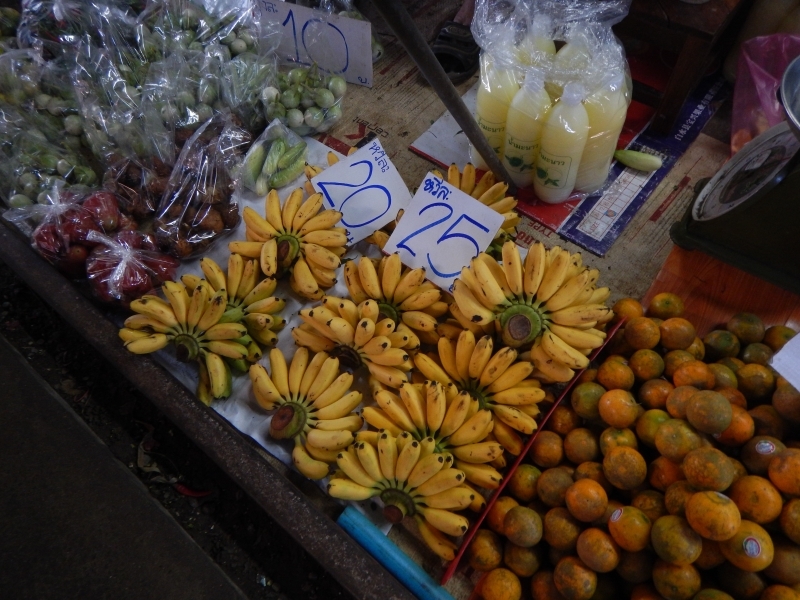 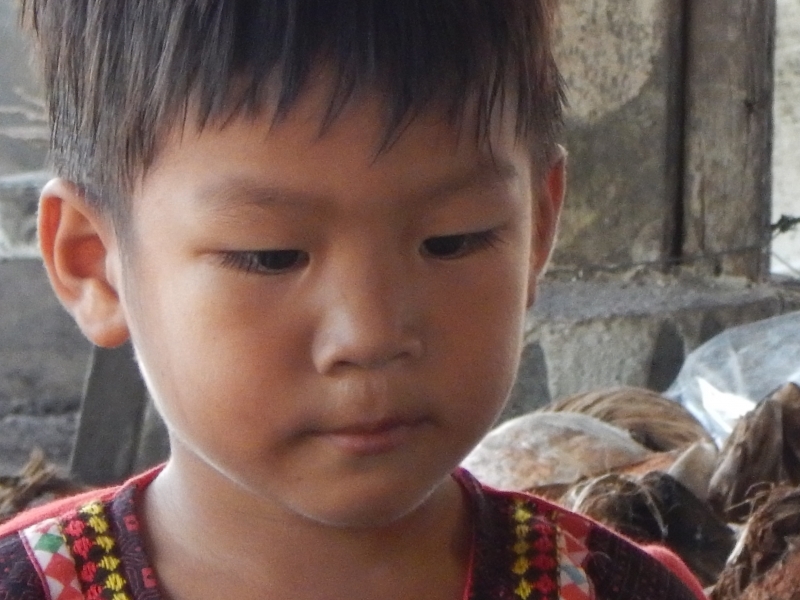 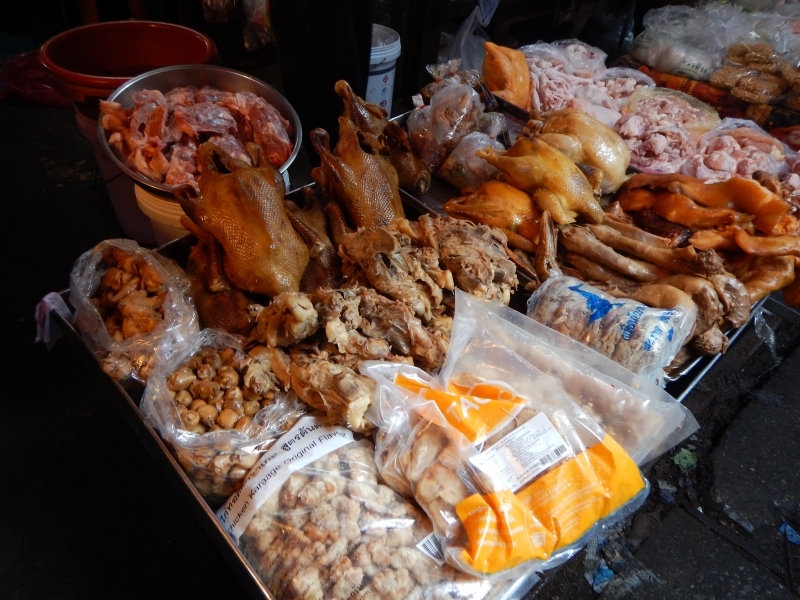 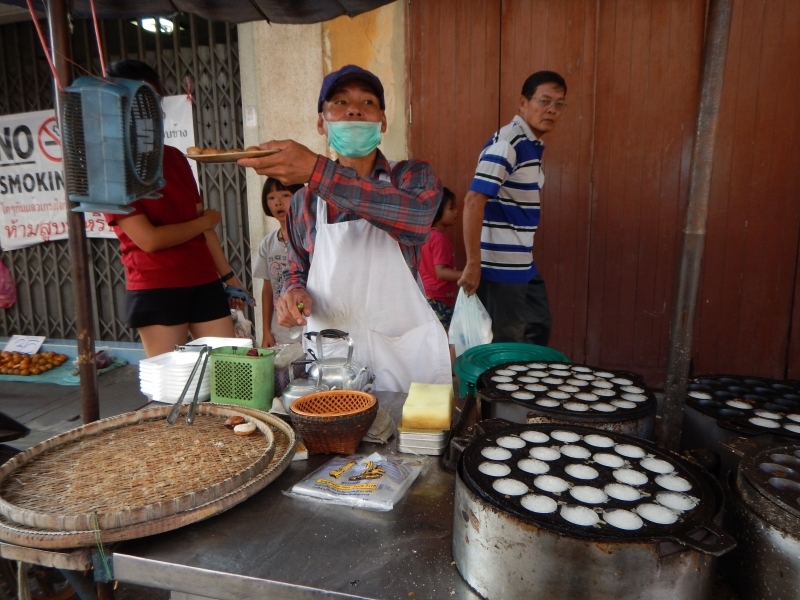 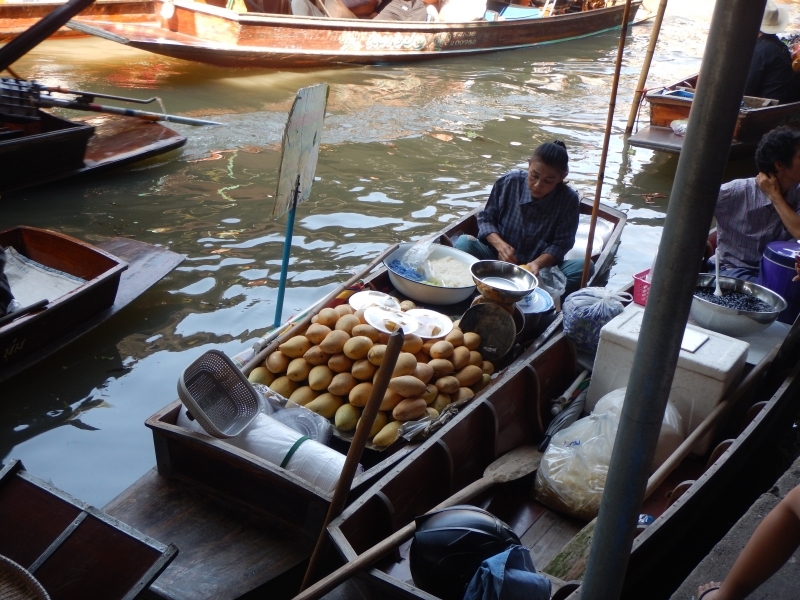 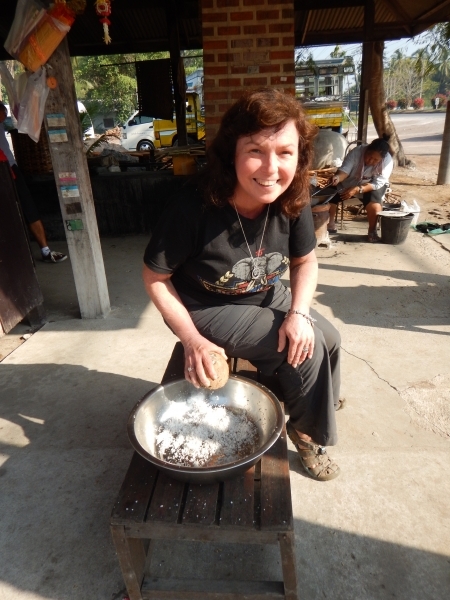 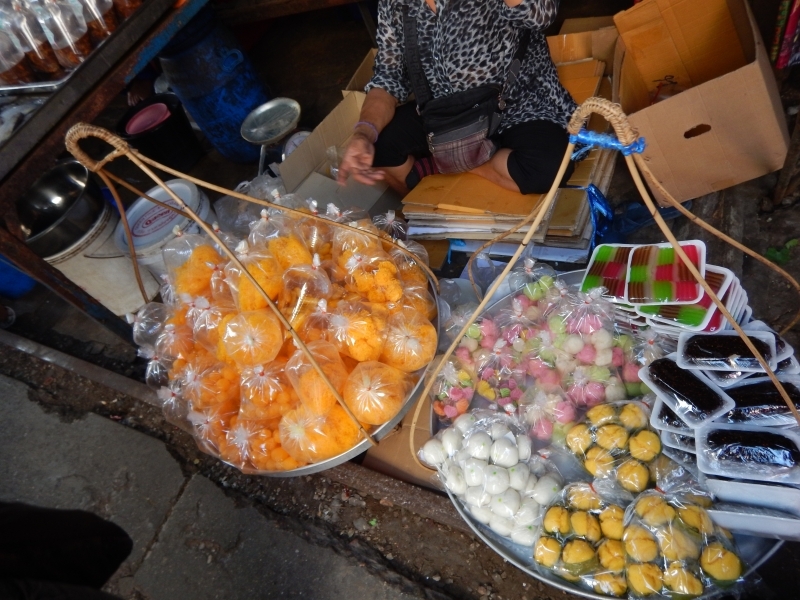 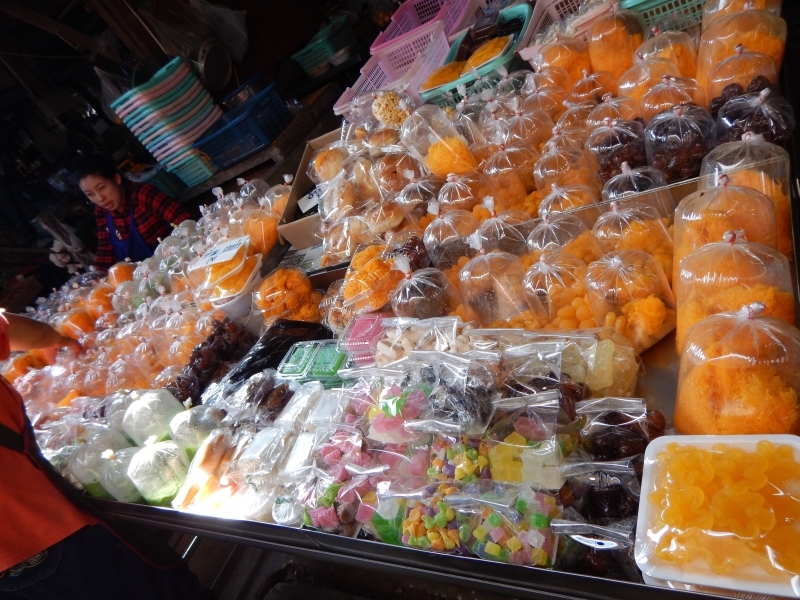 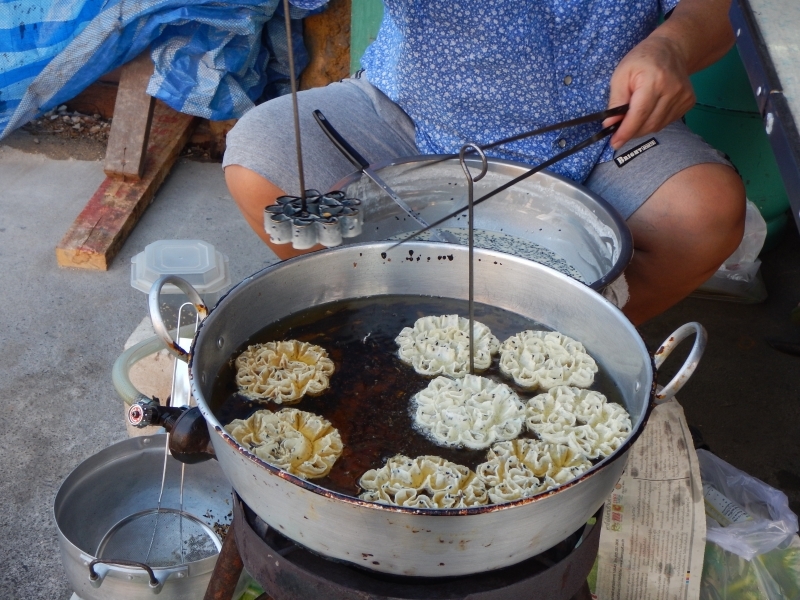 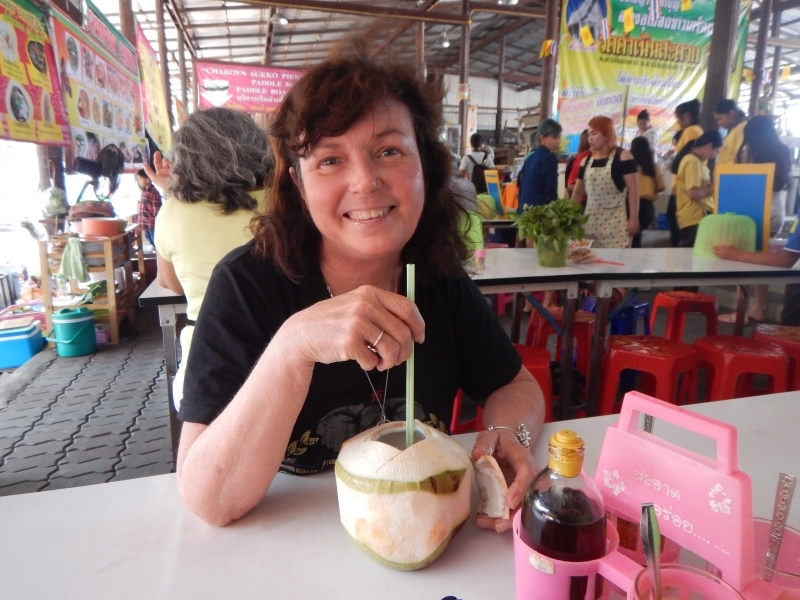 With the help of our Guide, Miss Katie, we even managed to partake of Chicken Noodle Soup, Fresh Coconut Juice and the No 1 must have Thai Dessert…..Sticky Rice with Coconut Milk and Mango….YUM! 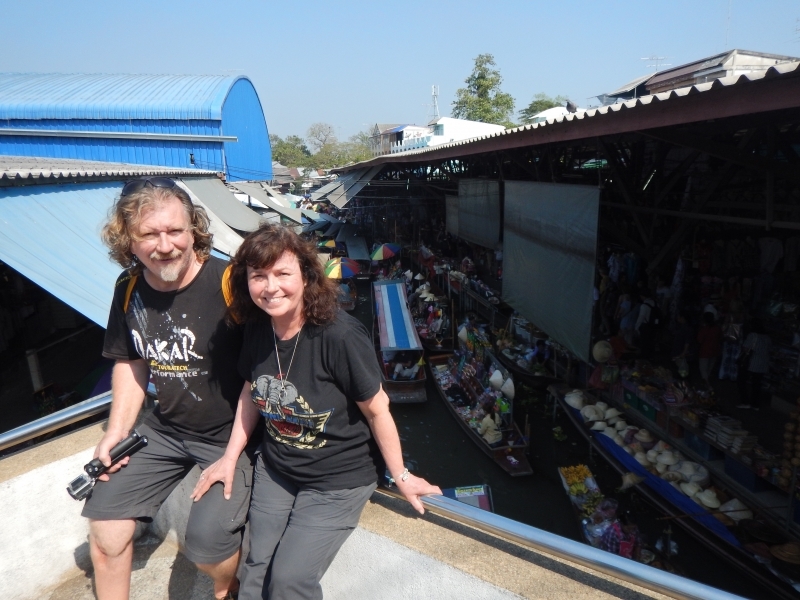 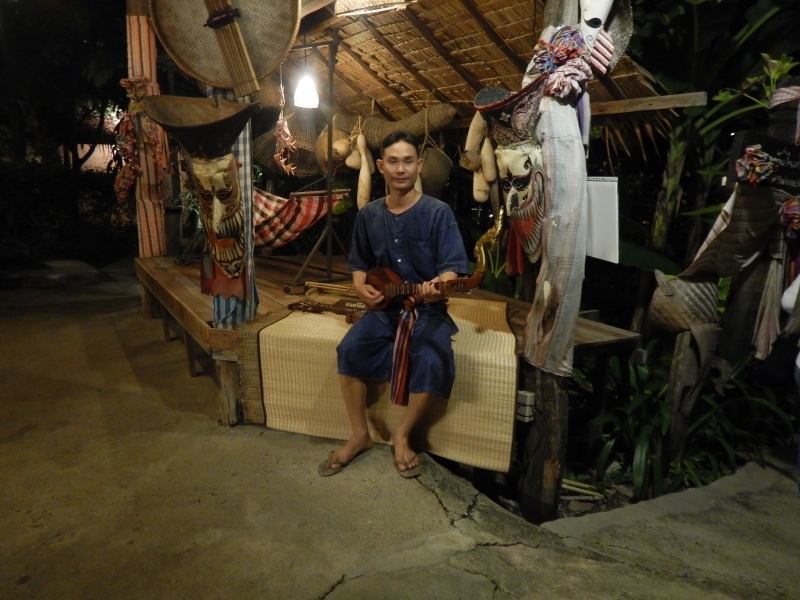 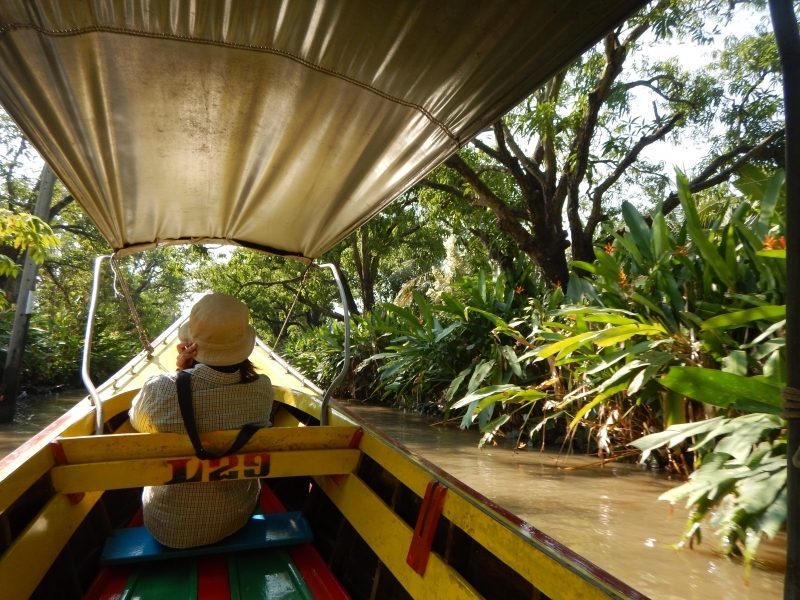 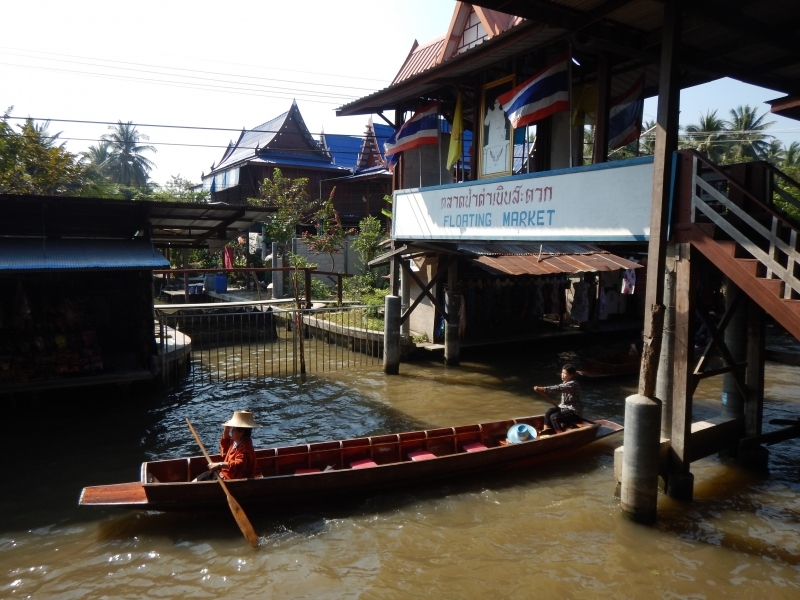 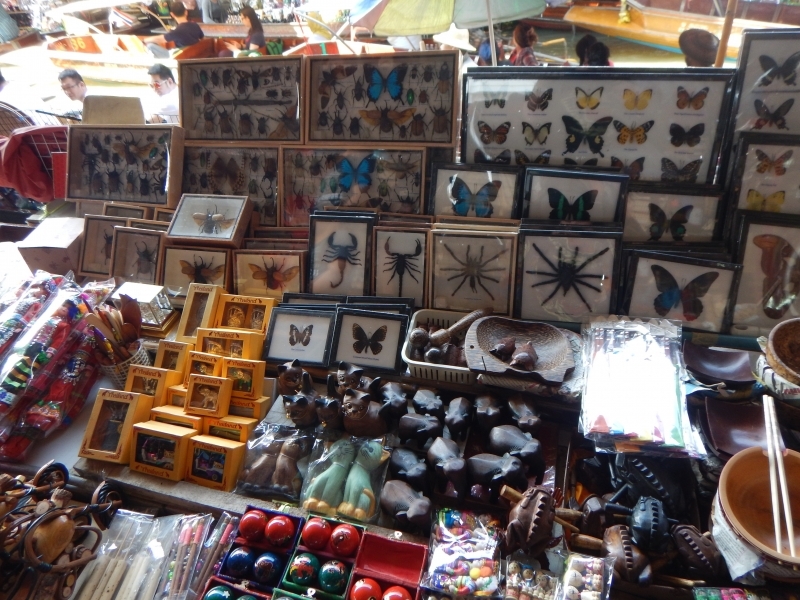 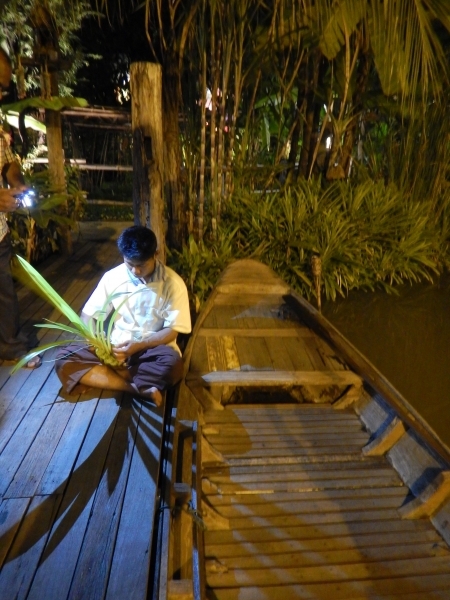 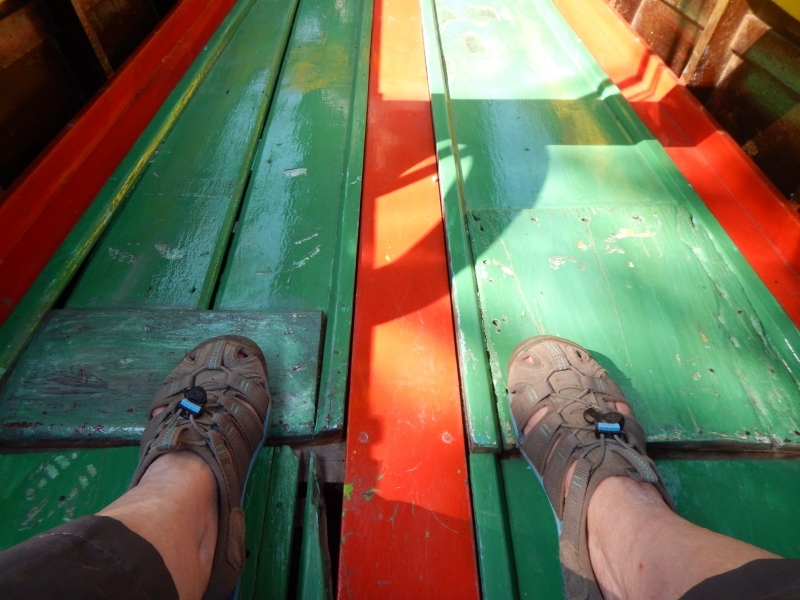 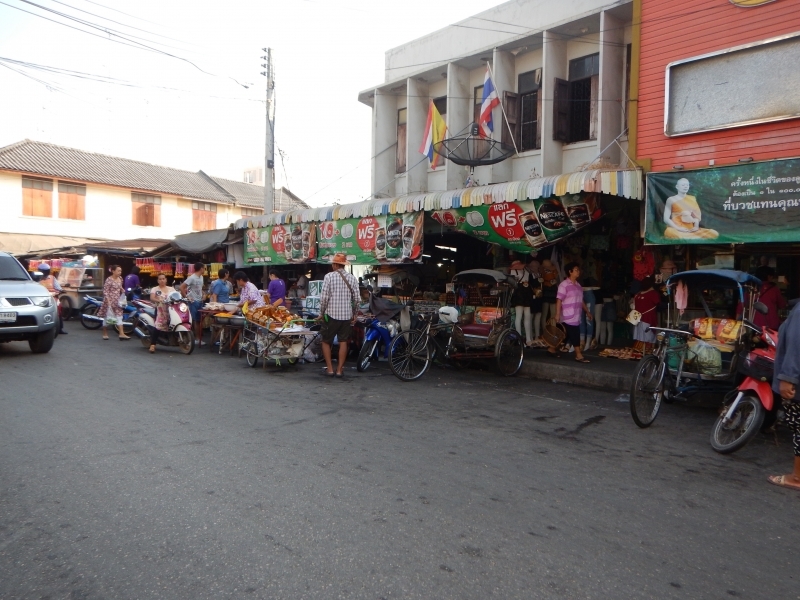 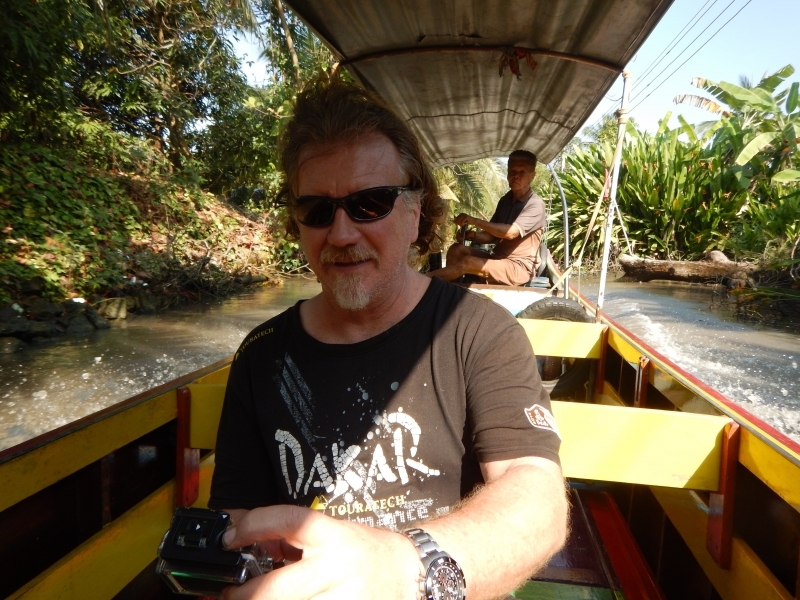 You could hire a paddle canoe for around 500THB but we decided to see the market by walking. 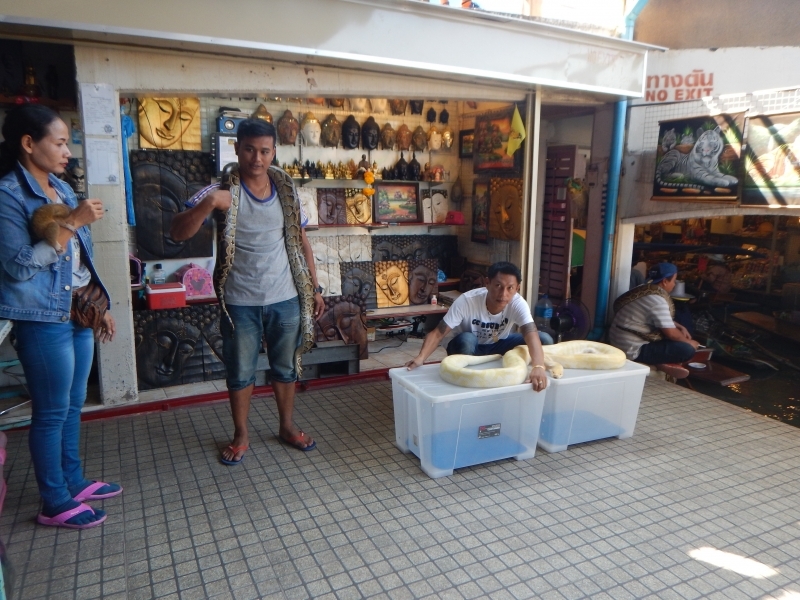 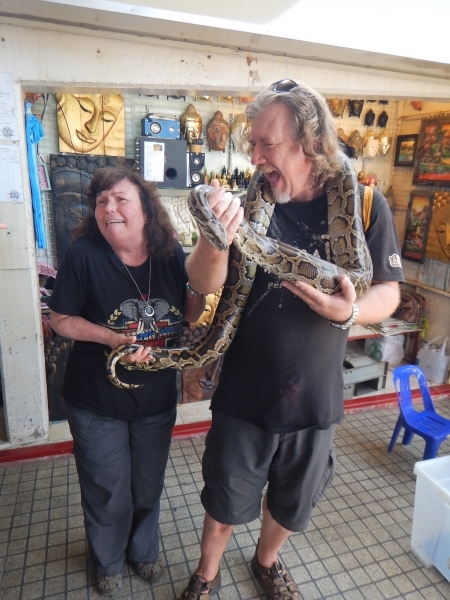 Whist walking we came across a guy with some snakes…..Vince was brave enough for 100THB to drape it around his neck….I was not convinced so I watched from a safe distance….but was eventually coerced into standing next to him for a photo and they made me hold it’s tale…..my face says it all….terrified! 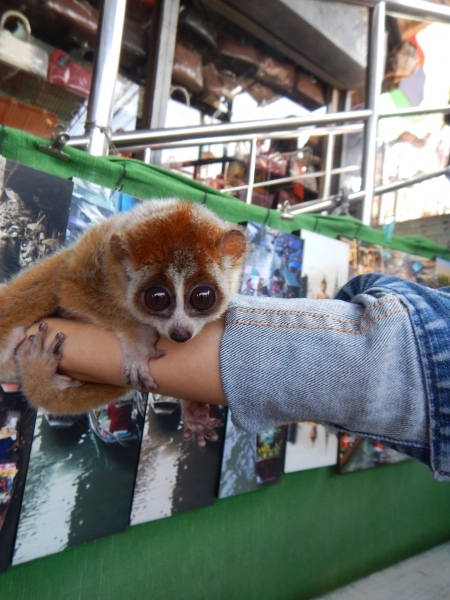 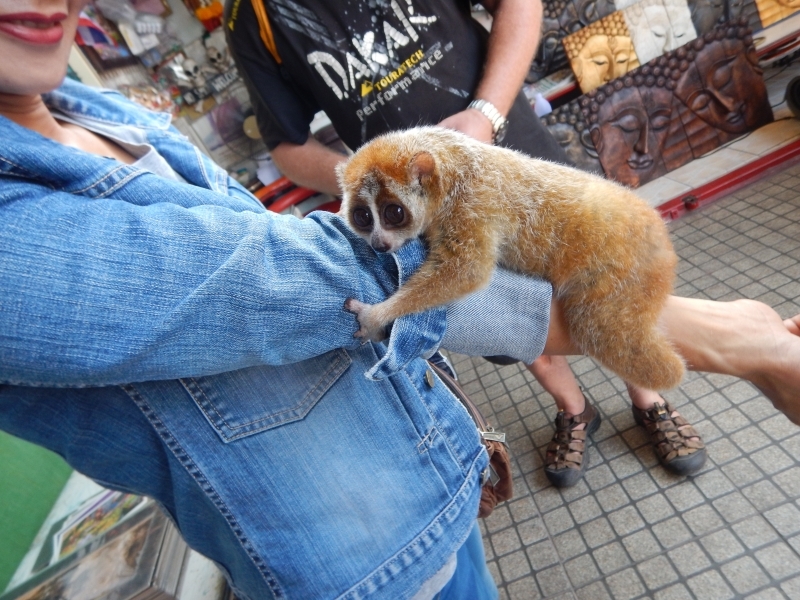 There was also a lady with a cute little thing that looked like a possum…but she said it was a kind of monkey….that’s much more my style! 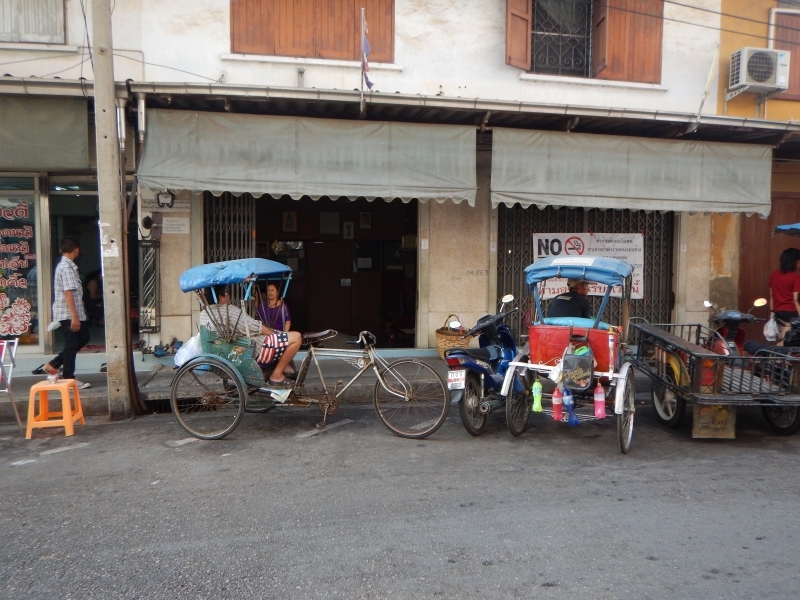 We got dropped off at our hotel around 1.30pm…and we gave Miss Katie a tip (as she was so helpful in so many ways). 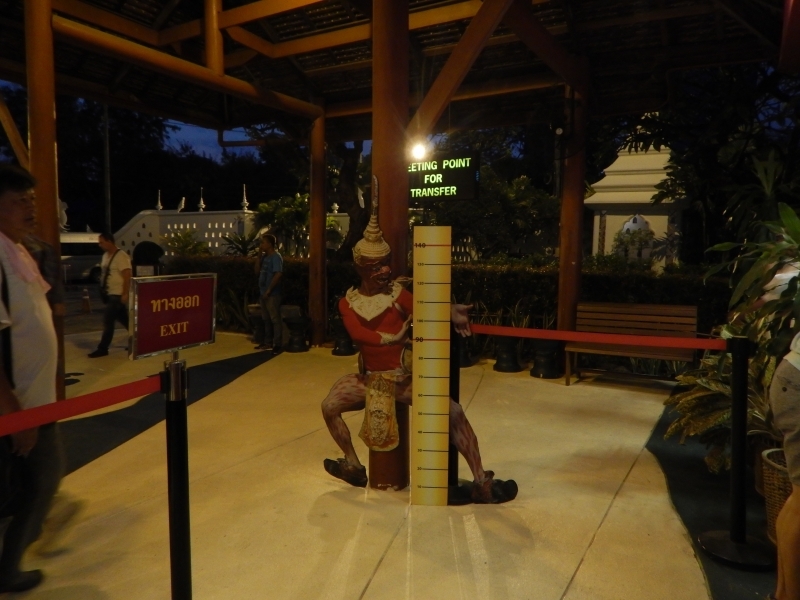 We chilled for the afternoon doing chores such as photos, blogging and chasing up info on crating the ANIMAL home before heading out for some dinner at Terminal 21 Food Court. 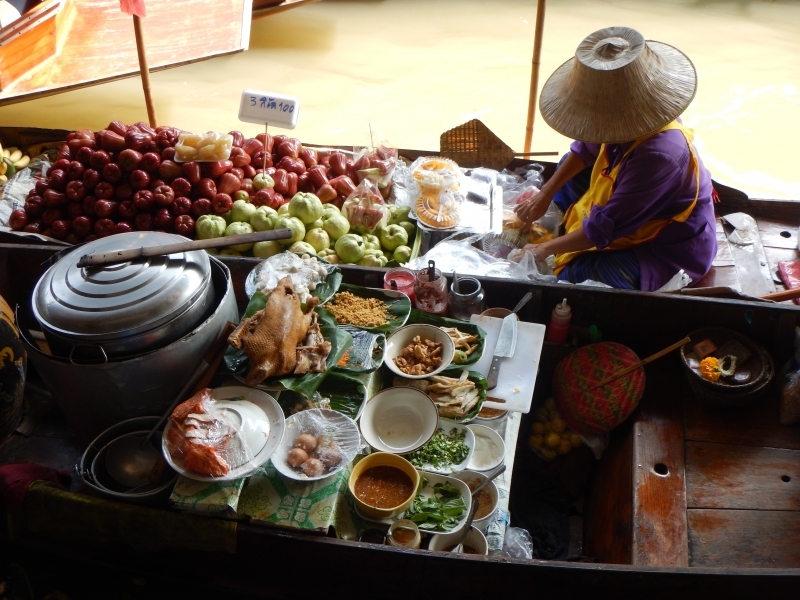 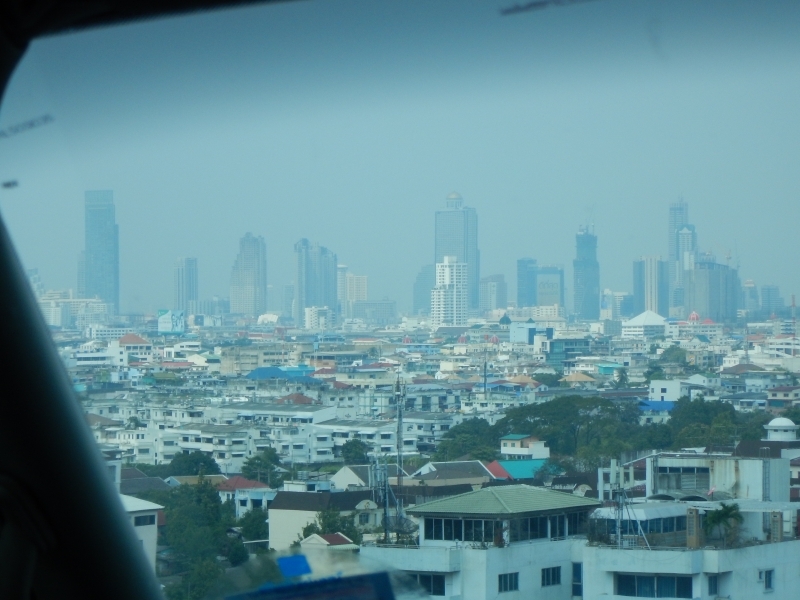 1 Journey in History…….The North (Ancient Kingdom of Lanna), The South Seas (Traders from OS), The Northeast – Issan (Heritage of the Khmer Civilisation) and the Central Plains (Ayutthaya the Mighty Capital). 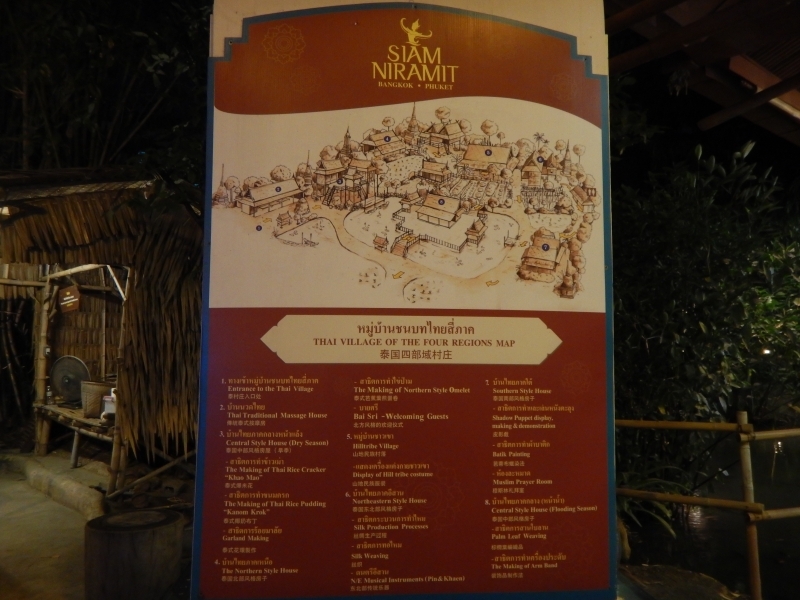 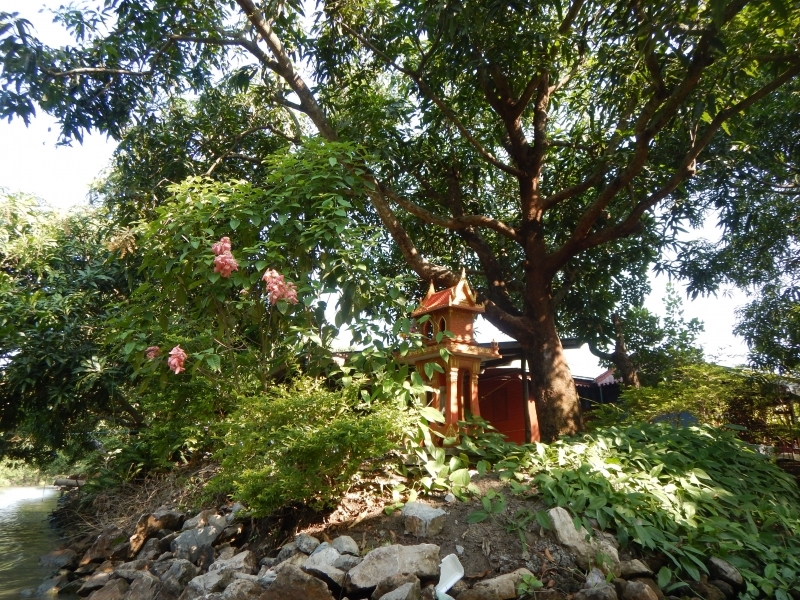 2 Journey beyond Imagination (The three Worlds)…Fiery Hell, Mystical Himapaan, Blissful Heaven. 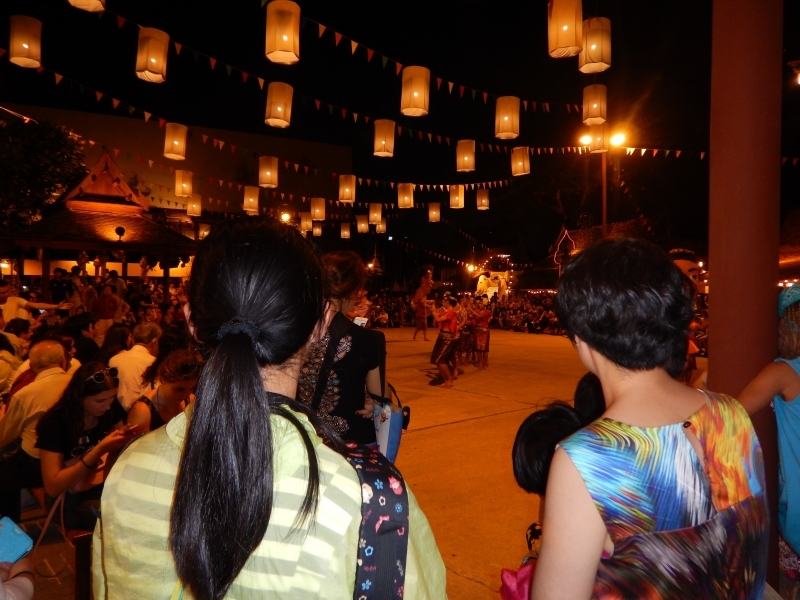 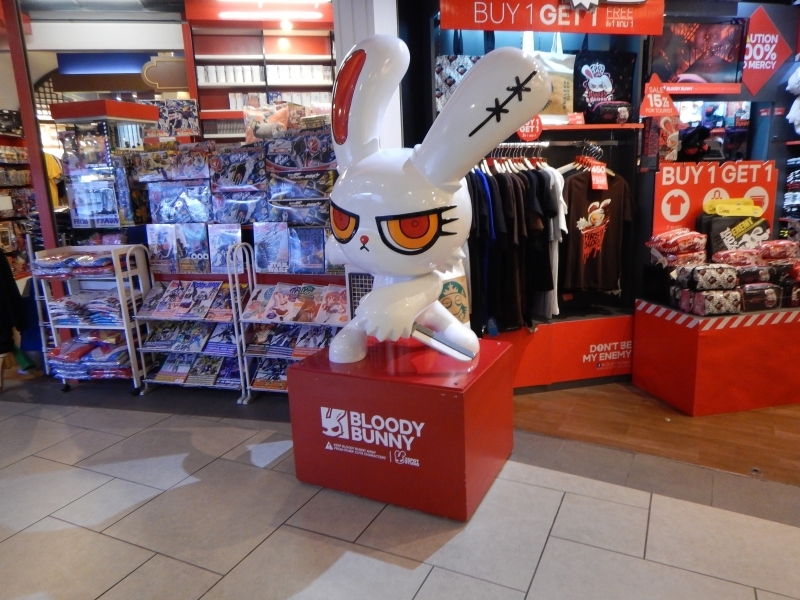 3 Journey through Joyous Festivals…Loy Krathong and Joyous Festivals such as Songkran and the Phitakhon Ghost Parade. 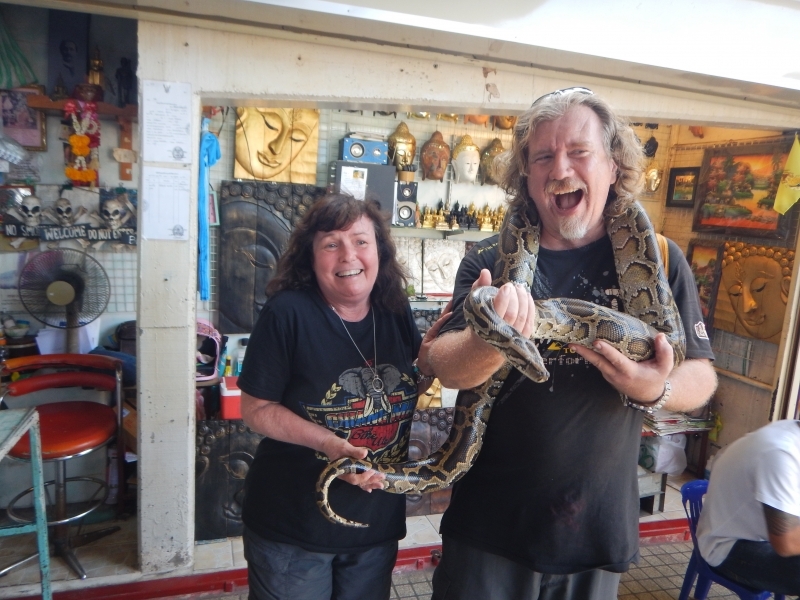 Whilst we are glad we went it certainly wasn’t in the realm of other shows we’ve seen in London. 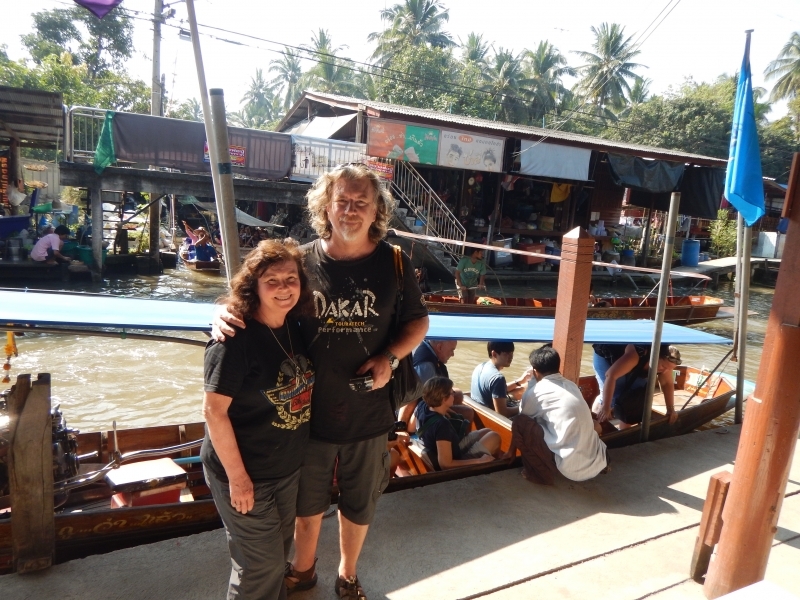 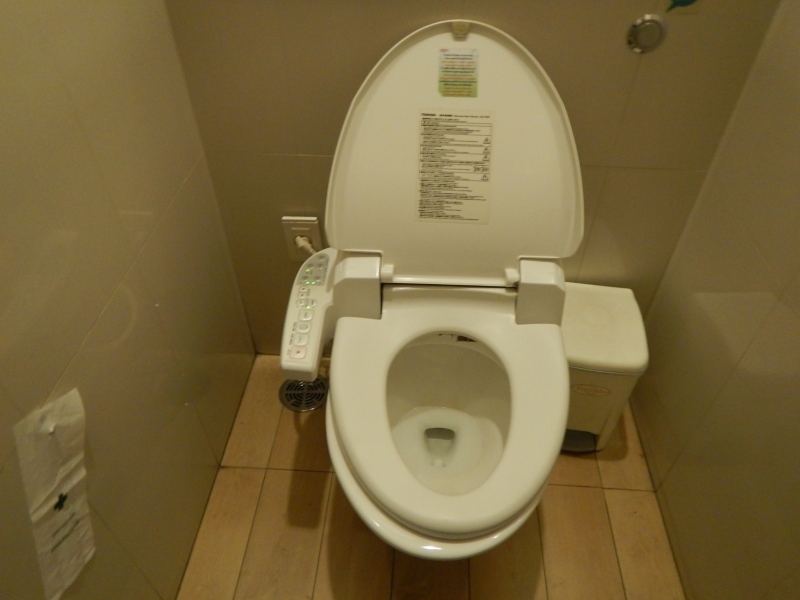 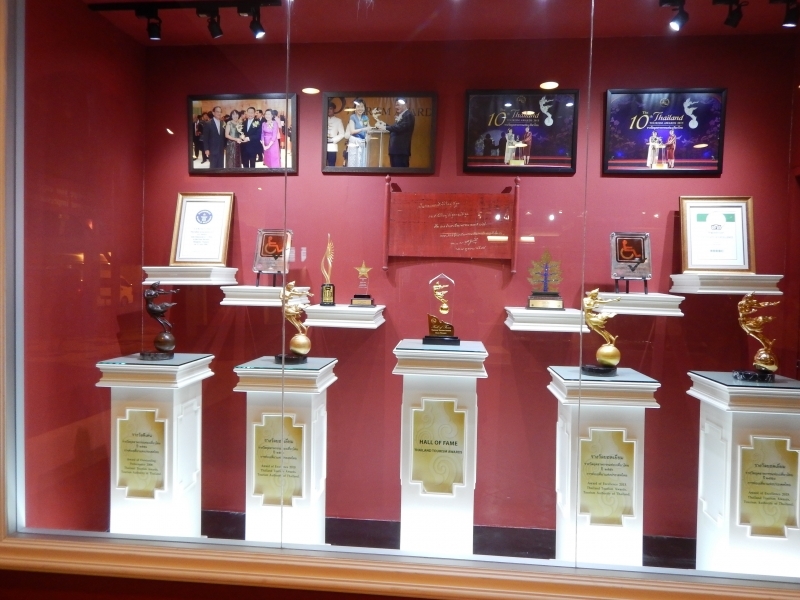 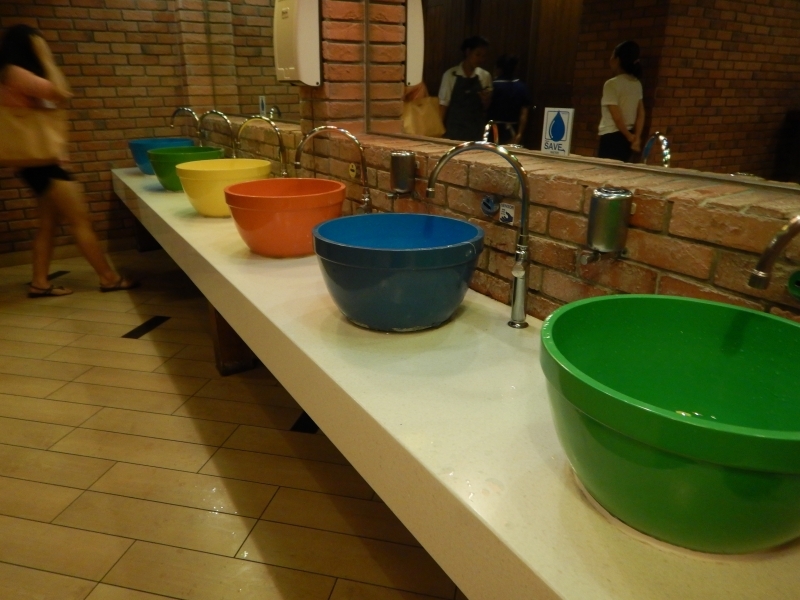 We also had to content with an Indian family behind us who had brought their children…who continually talked…..cried ……and kicked the back of my seat! 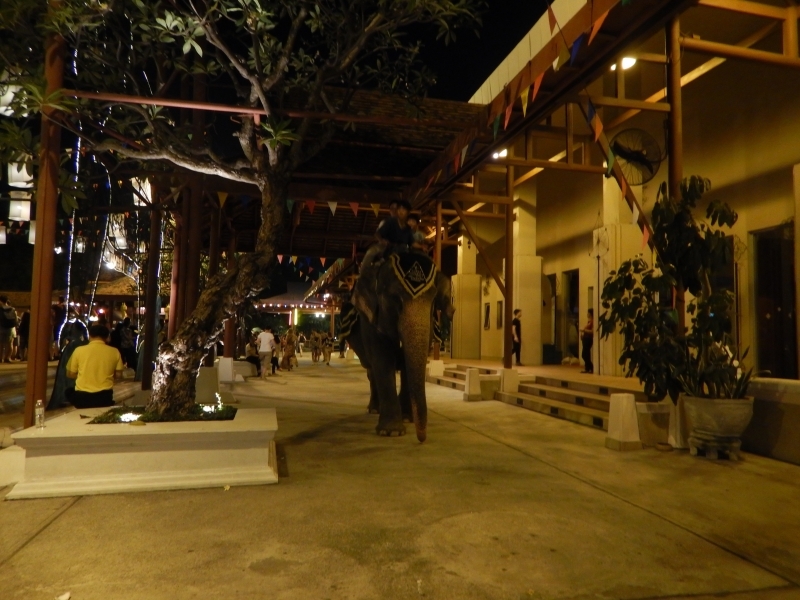 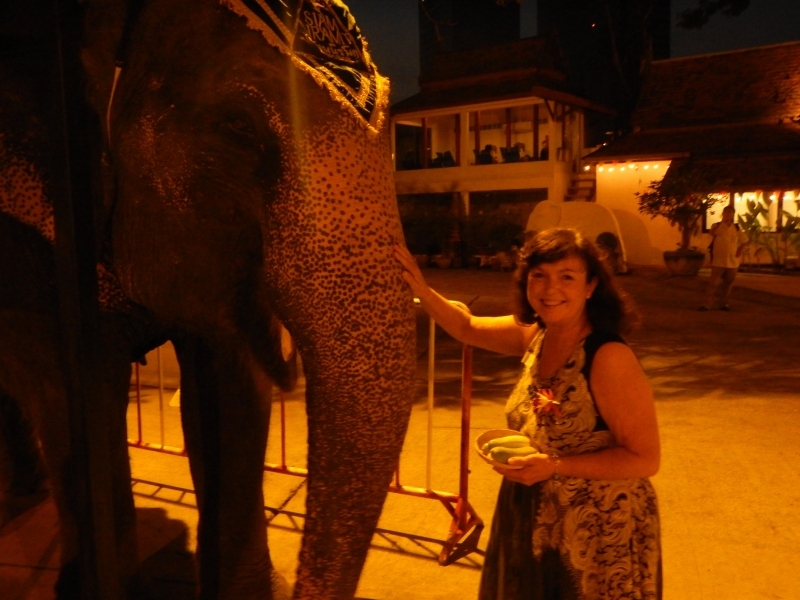 But on the up side I did get to feed an elephant named Tum Lah, she was gorgeous….and appeared later in the show. 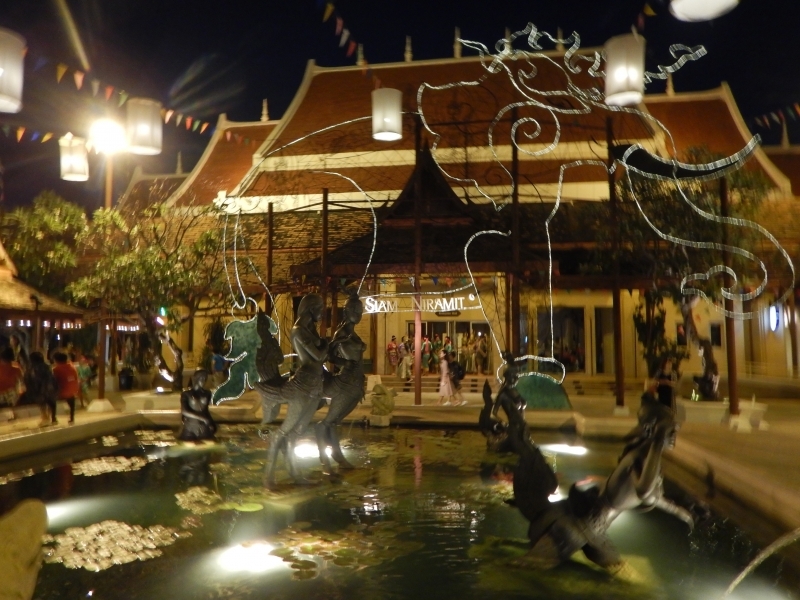 Vince got picked out of the audience in the last act to come and put a candle cake into the water to float away….quite special….my husband the STAR!